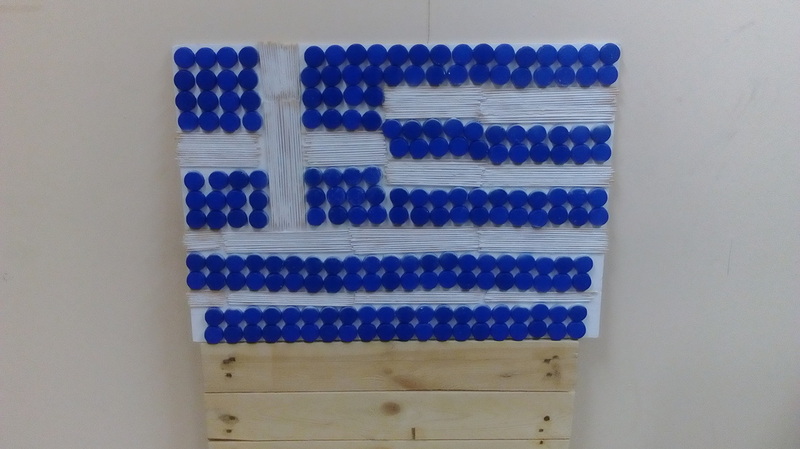 Students construct the project logo of recyclable materials (pallets) in the recycling art center "Start". 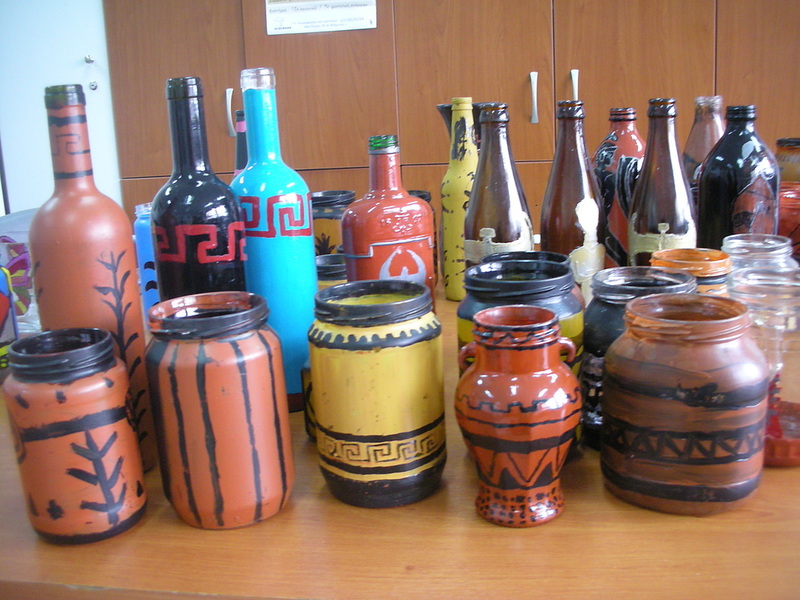 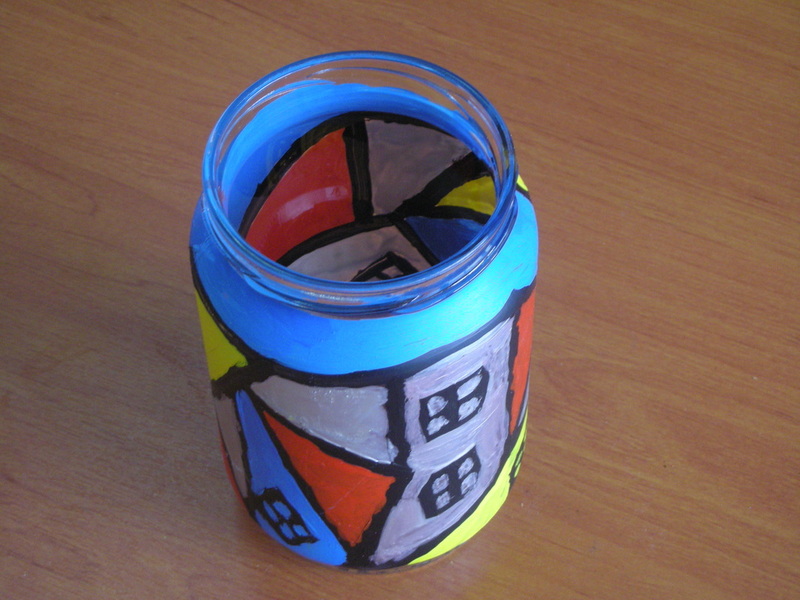 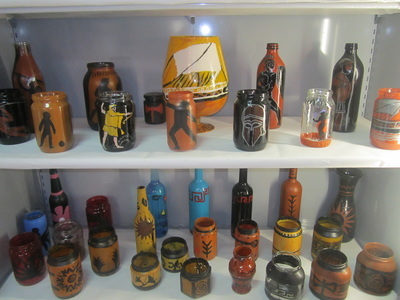 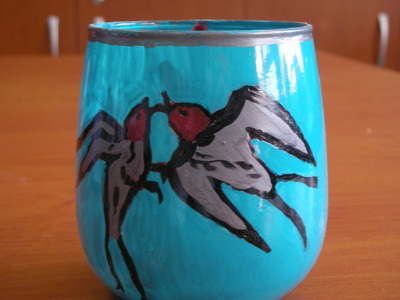 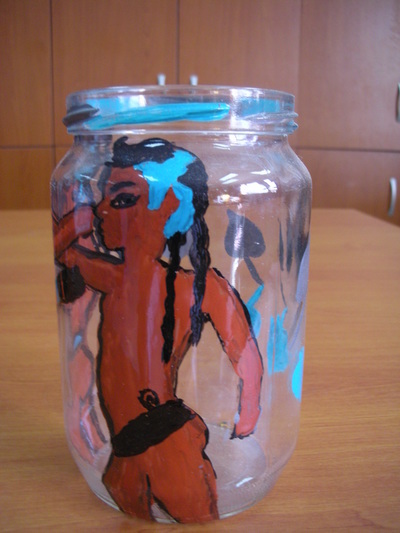 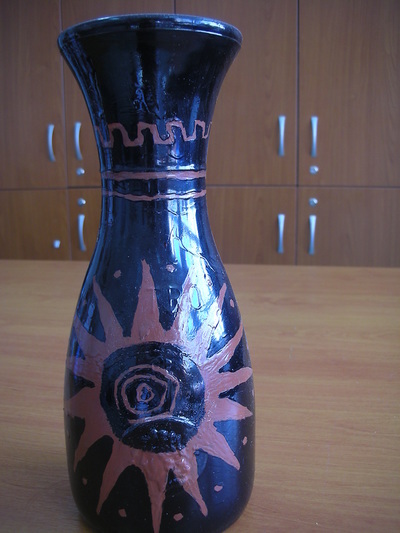 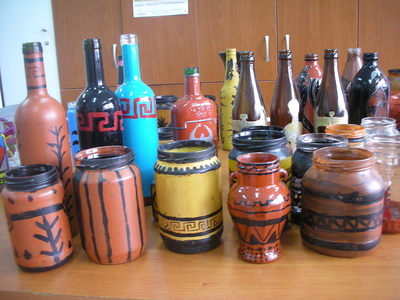 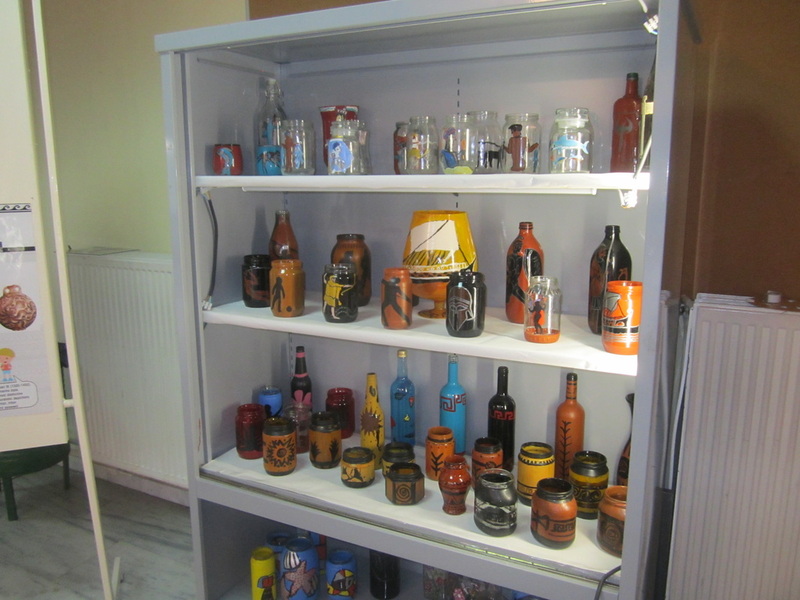 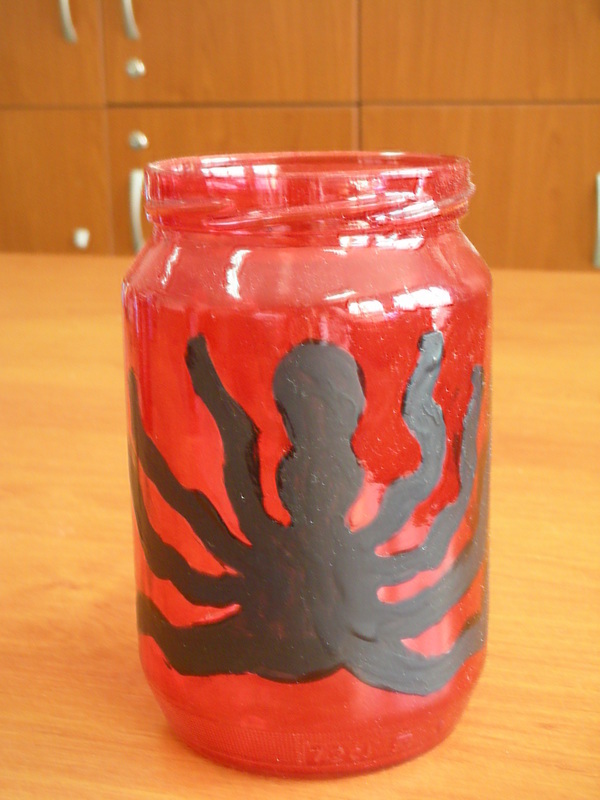 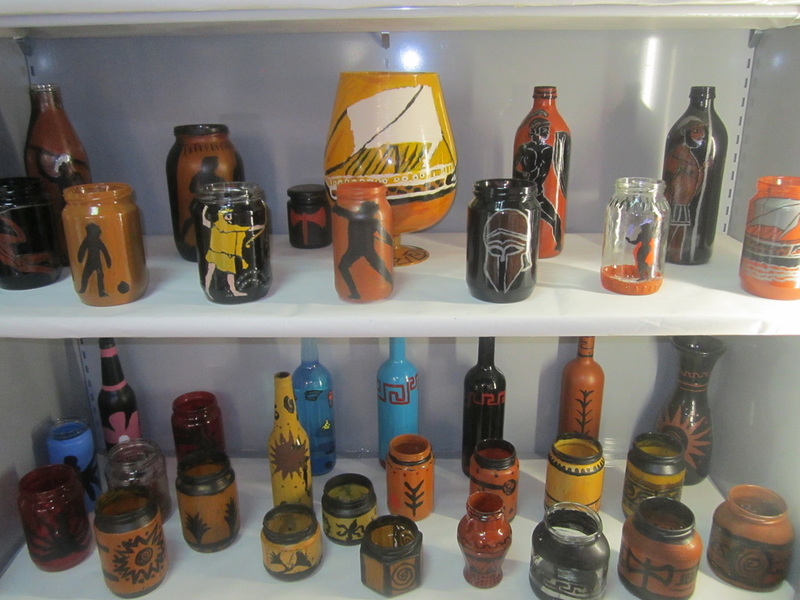 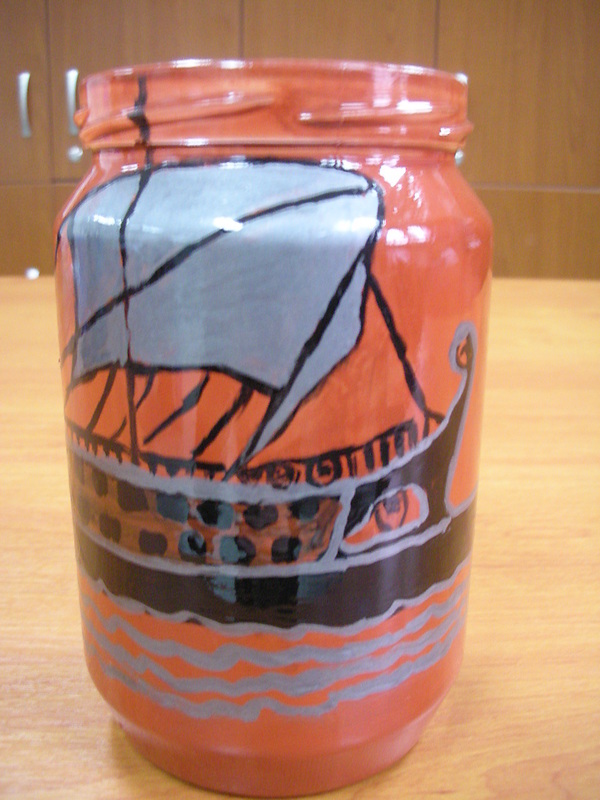 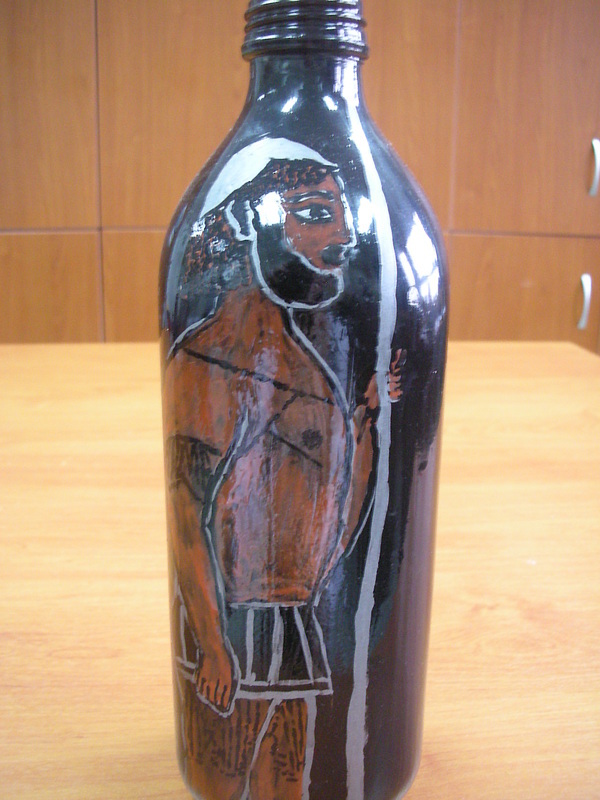  The idea was to connect the reuse of glass objects with the History and Art of the ancient Greek world, creating replicas of ceramic pots. 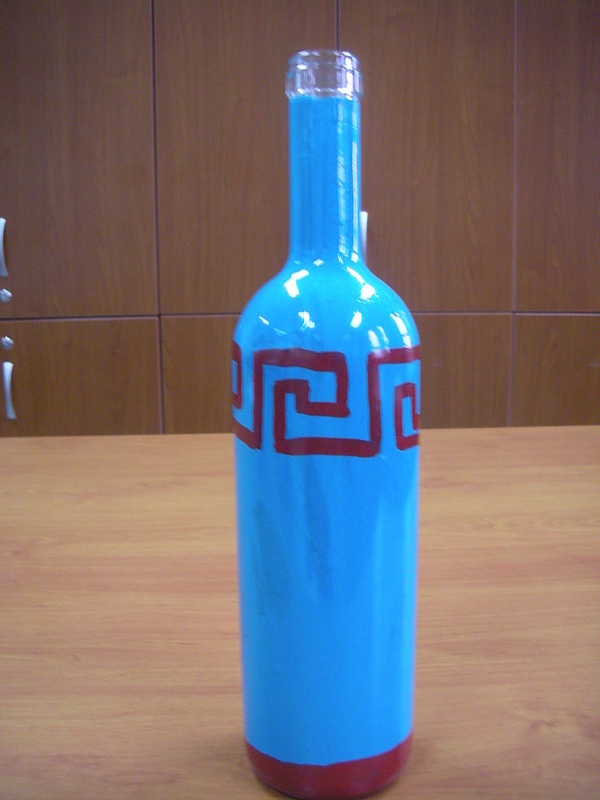 We intended to experiment with new materials and techniques exploiting freely and creatively motifs from both ancient Greek and modern art. 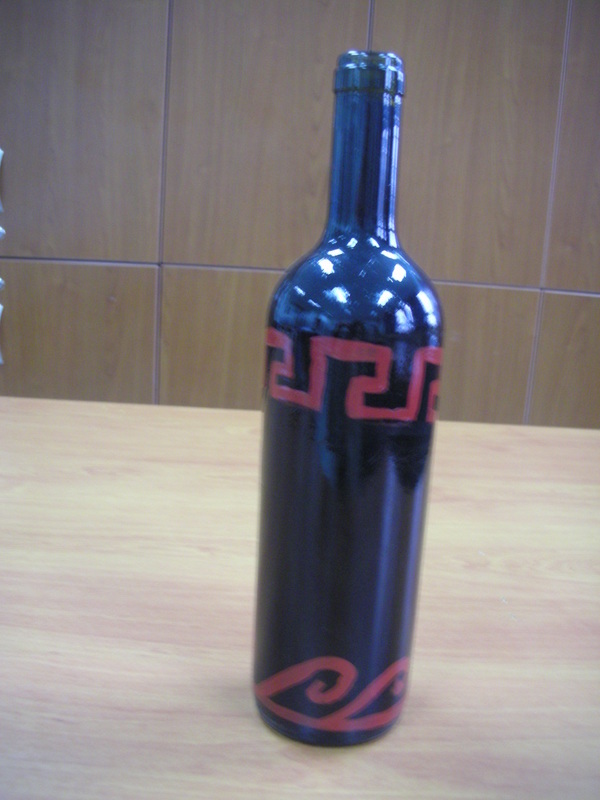 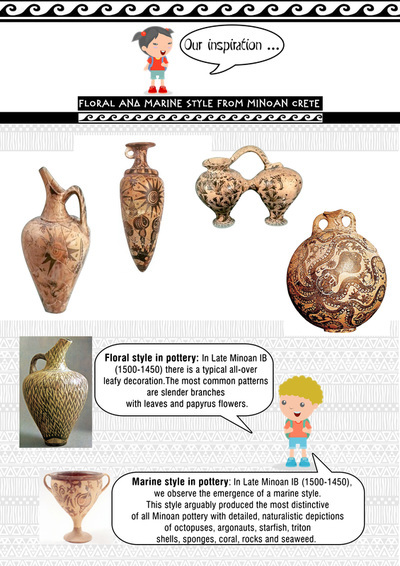 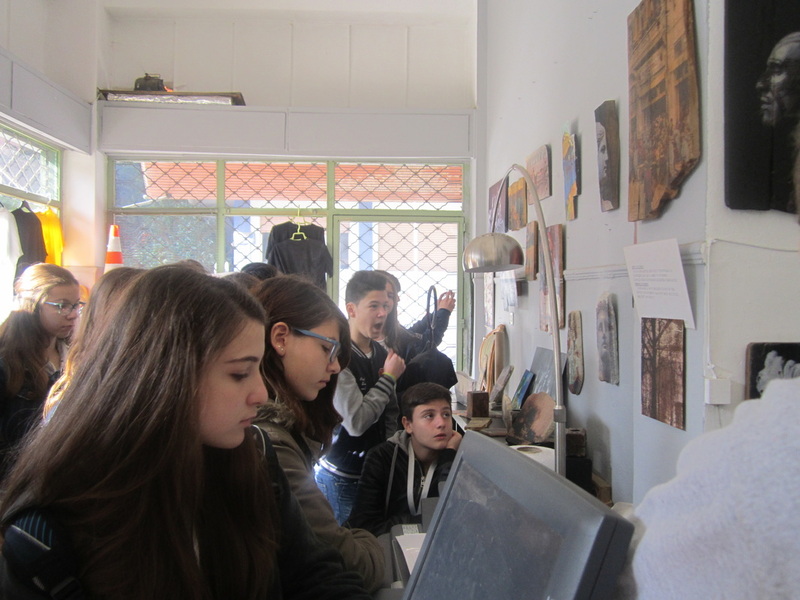 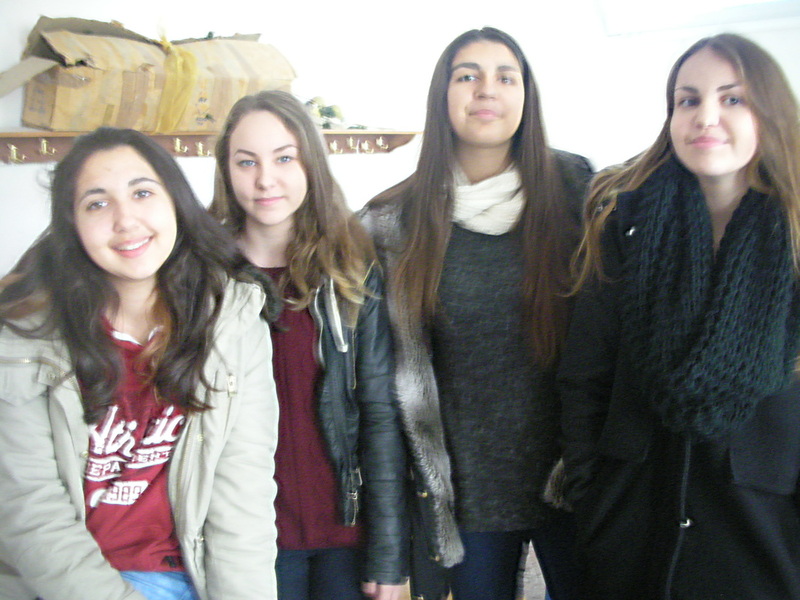 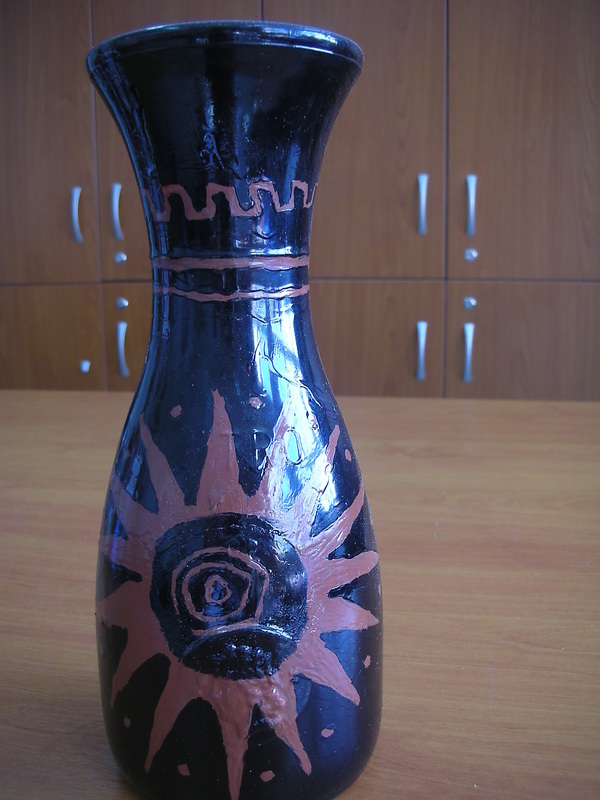 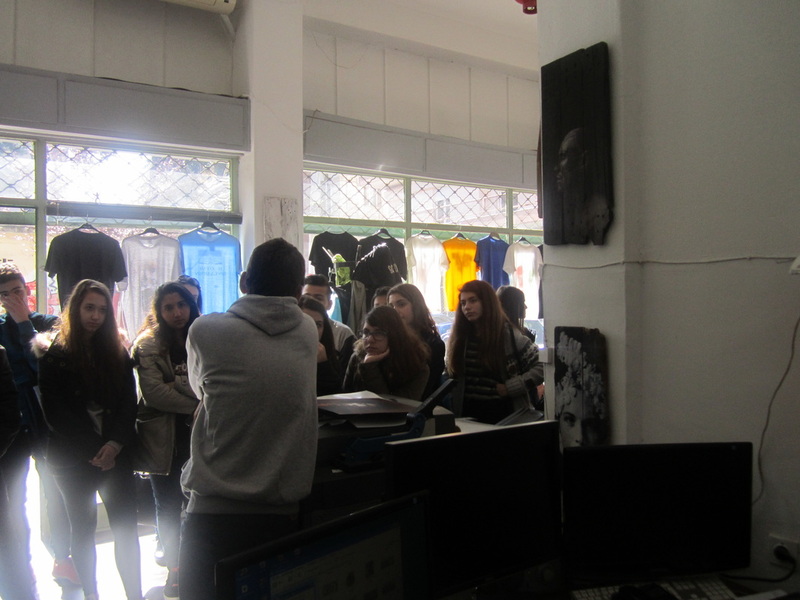 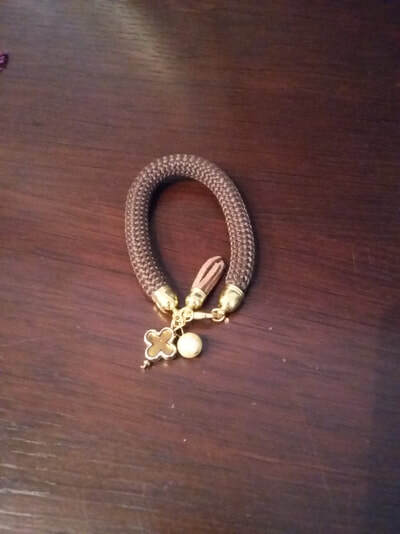  During the History course, we became familiar with artefacts of the Bronze Age, Geometric, Archaic and Modern art. 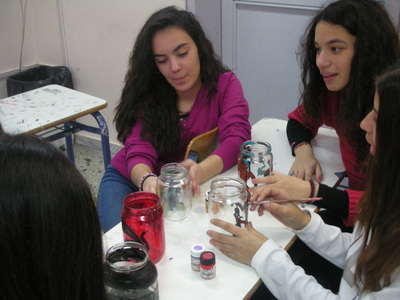 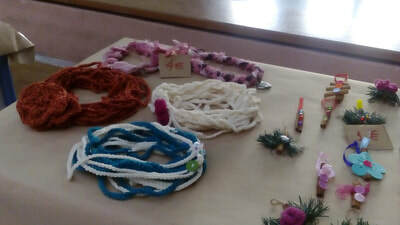  We split into groups and we set up our artistic workshop. 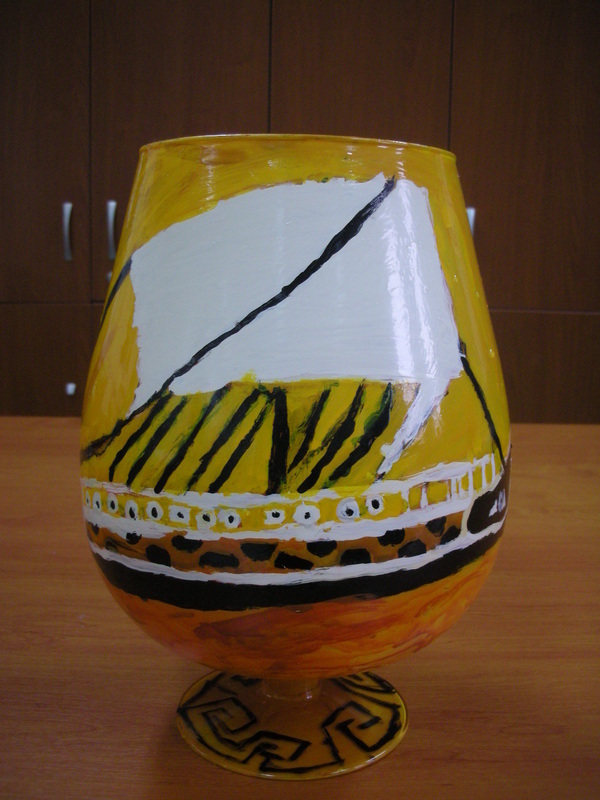 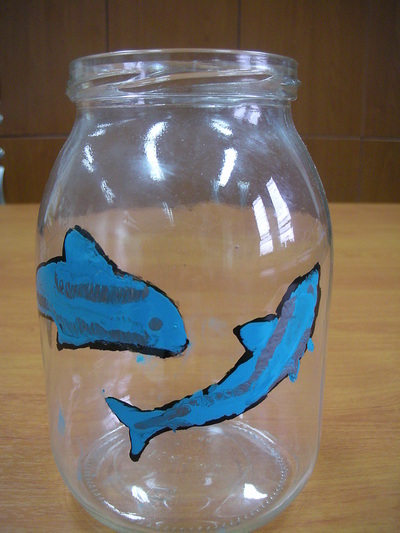 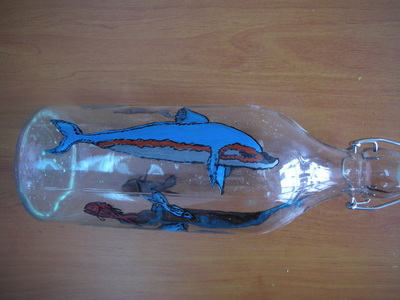  The production – creation process gave a series of glass vessels – replicas of various periods of art. 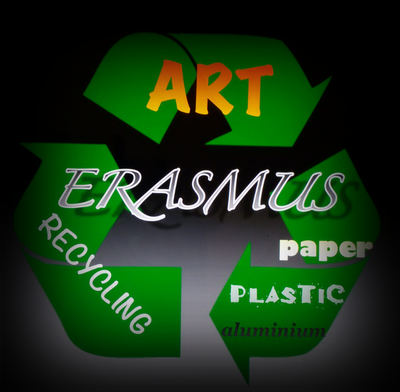  To approach art as sustainable waste management tool.  To be aware of the environmental and economic value of recycling.  To develop positive attitudes towards the prevention and resolution of future environmental problems. 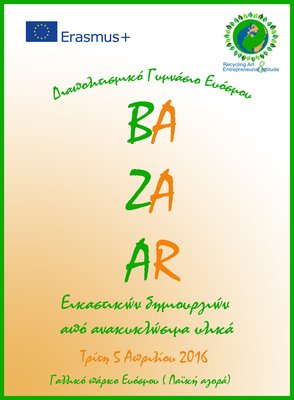  To actively participate as responsible citizens in improving the quality of life. 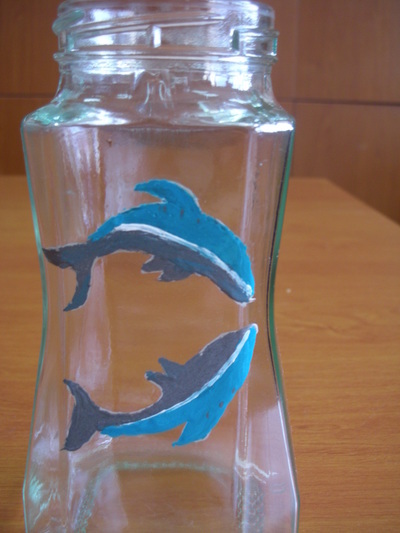  To develop a spirit of cooperation, teamwork, individual initiative through teamwork. 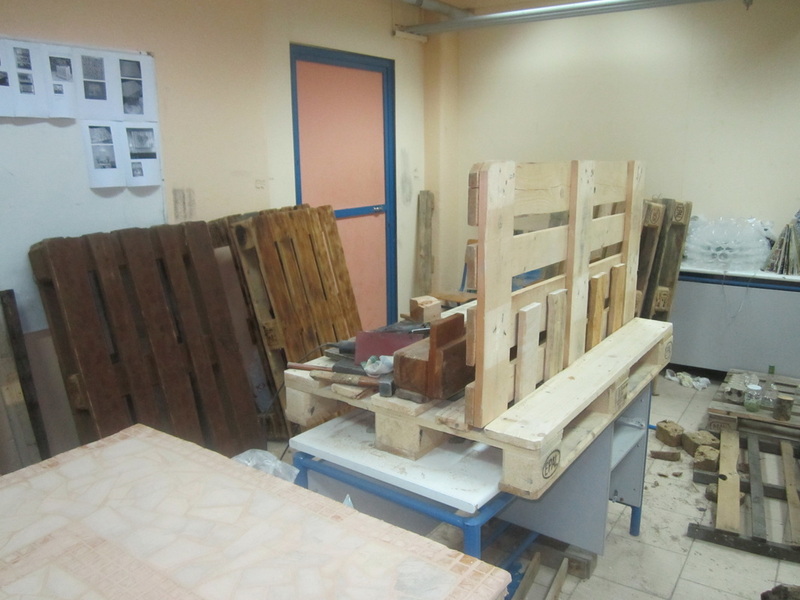 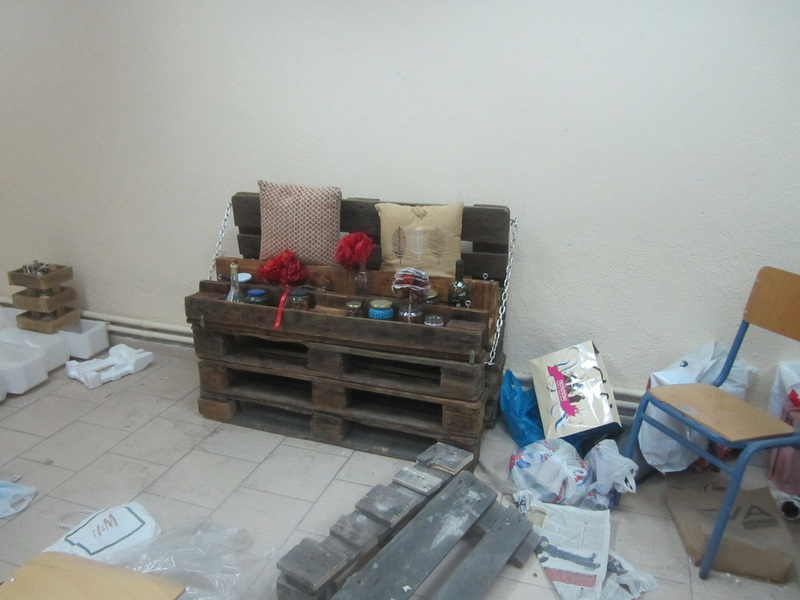 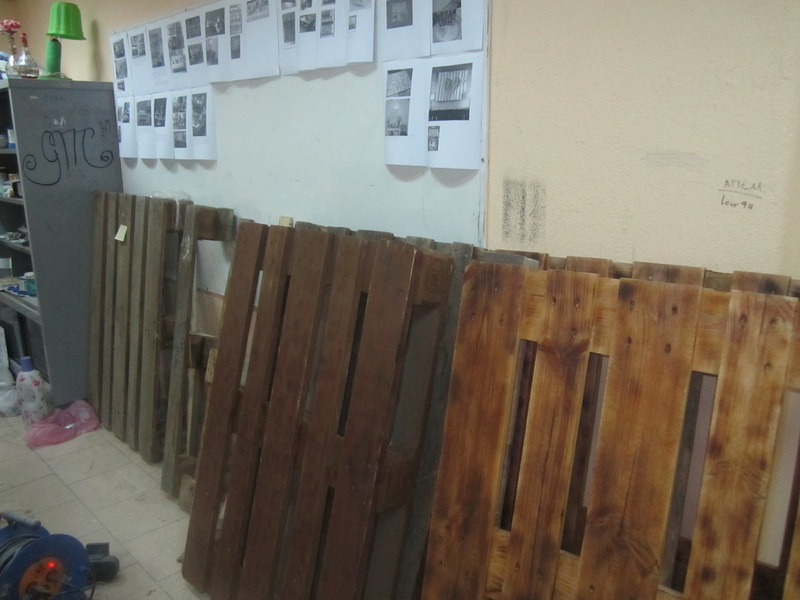 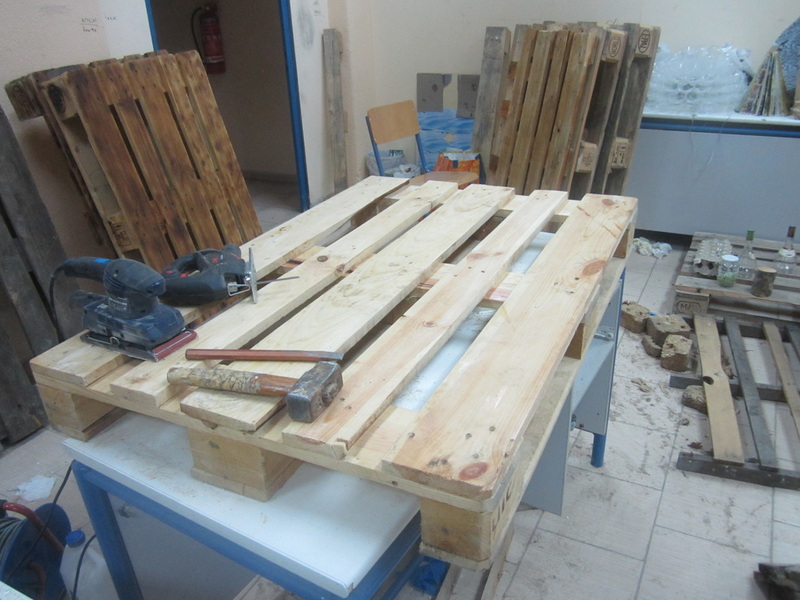 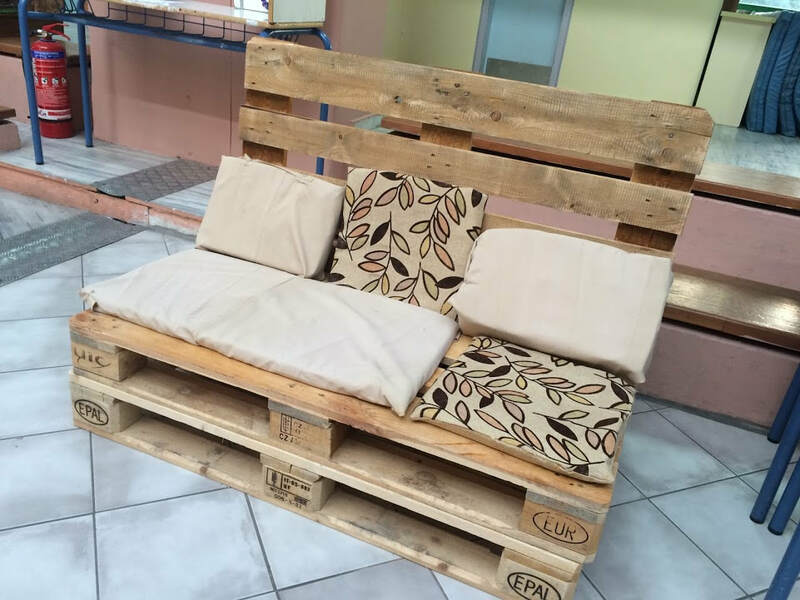 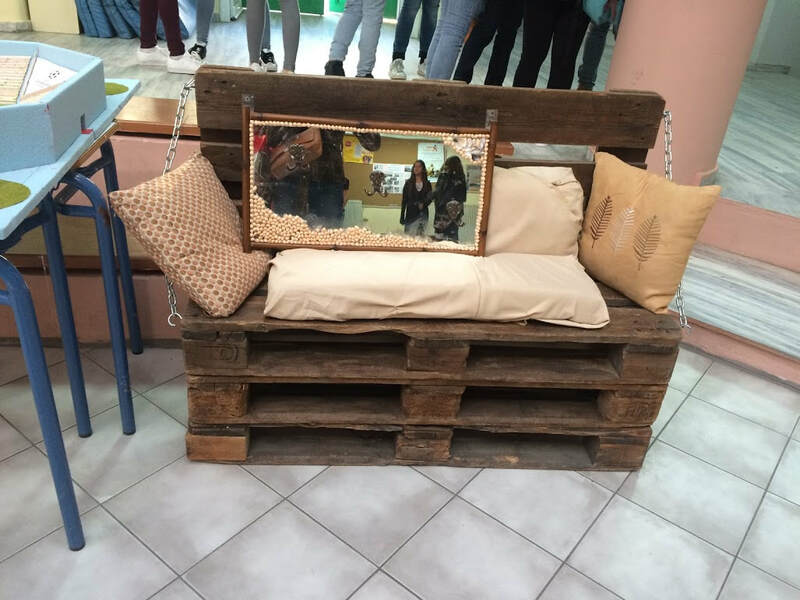 The students have made charming wood installation – assemblage using wood – pallet and the result was tables, sofas and flower boxes. 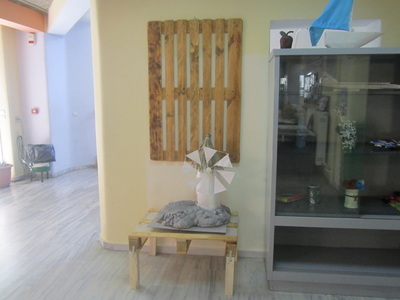 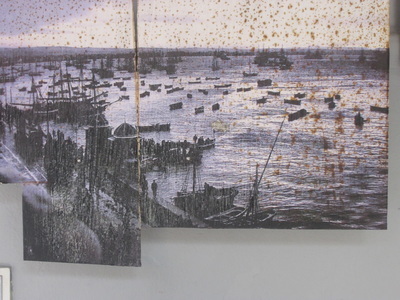 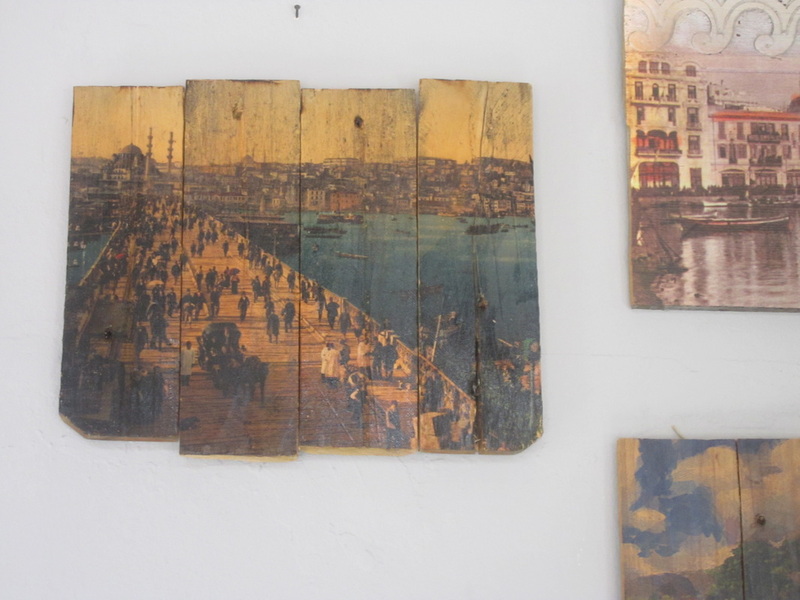 Also a large scale sculpture from scrap – wood, wood – pallet and aluminum can depicting an immigration scene. The objective was the art classes to be something new and fun, when there was no right or wrong answer and it was impossible to fail, nothing to memorize and all ideas were welcome. 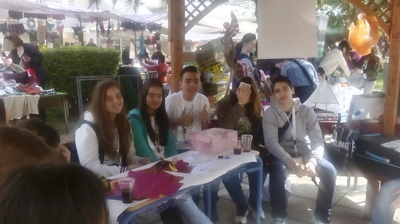 Almost any solution was acceptable and students had the opportunity to socialize with friends. 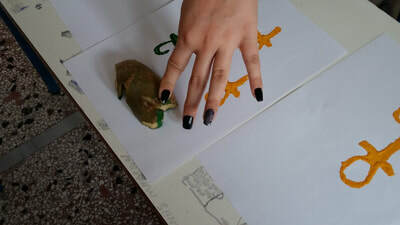 The outcome was that during the art class children realize that their original ideas have value, and that there are many ways to be artist besides drawing well. 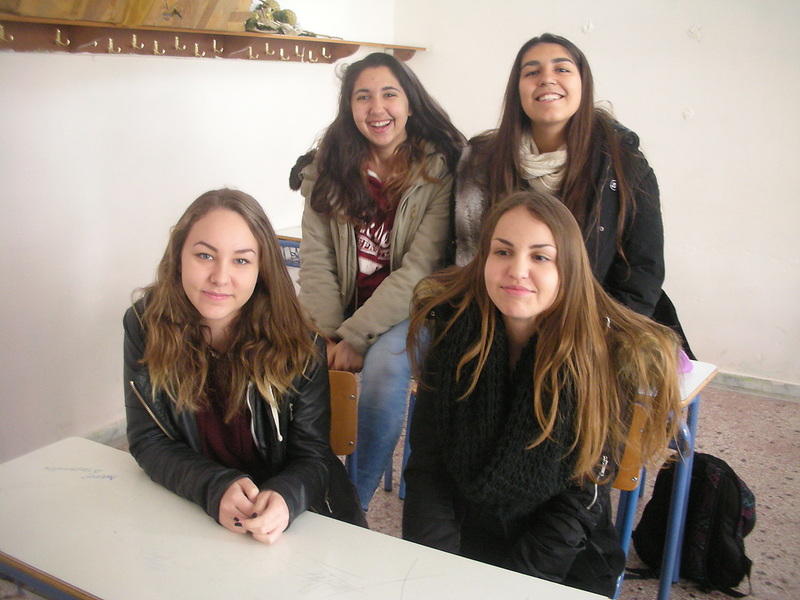 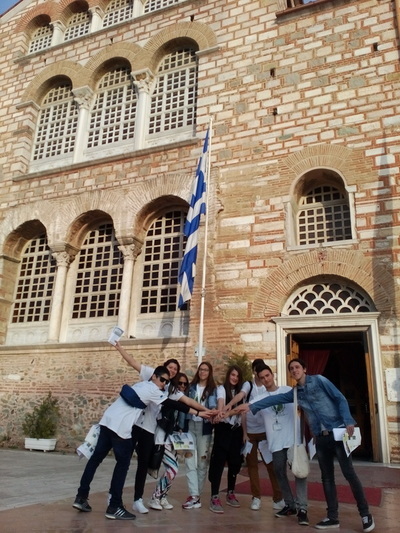 At first, the students were asked to form 4 groups of 4-6 students and they were given a worksheet for each of the four countries involved in the Erasmus+ project. 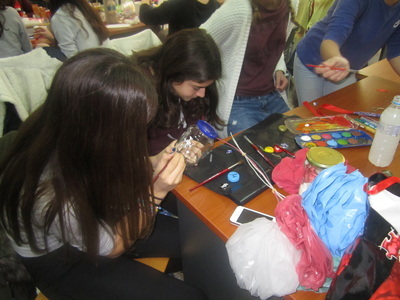 Each team had to work on different tasks such as brainstorming any previous information they may had about the country of their team. 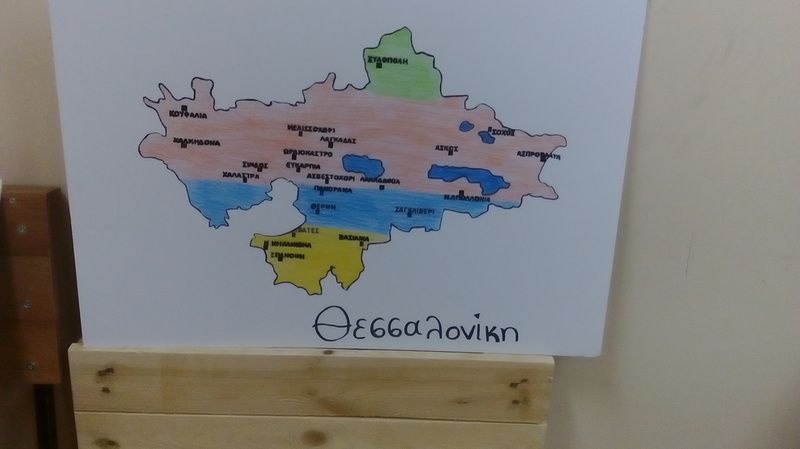 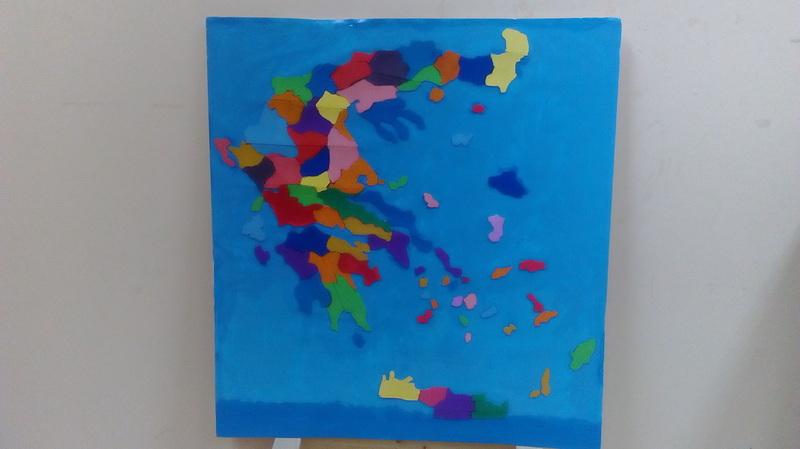 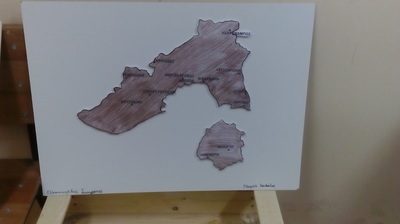 After the warm-up activity, they were asked to work in groups and describe the geographical features of the countries based on the information they had already been given during the Geography course, taught in Greek. 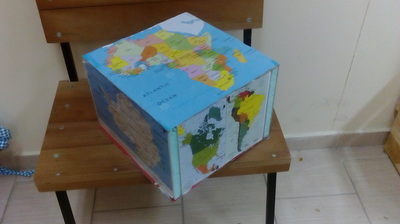 A map and a video enrich their knowledge and by making use of the list of the useful phrases, they prepare a presentation of each country. 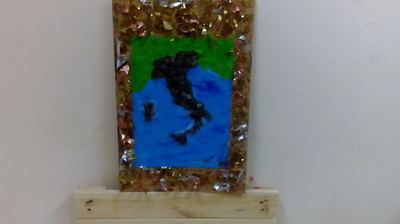 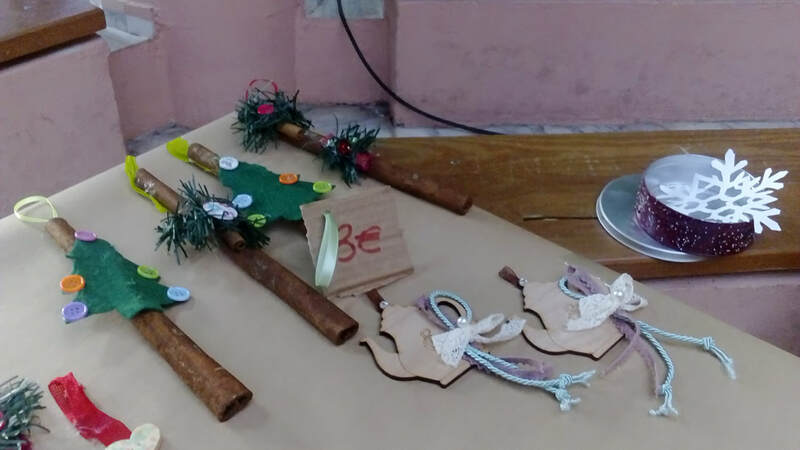 Finally, the activity ends with a creative task, trash art map that involves both cooperation and imagination. 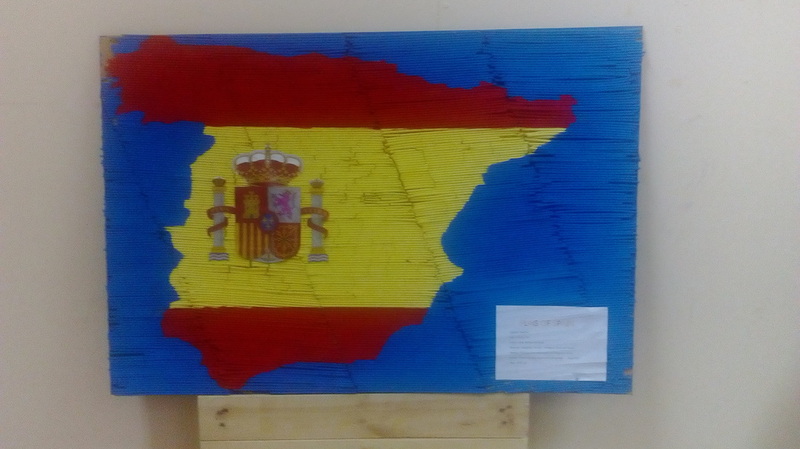 We consider the combination of the school subjects of Geography and English is an innovative approach which applies the principle of “using language to learn and learning to use language”. 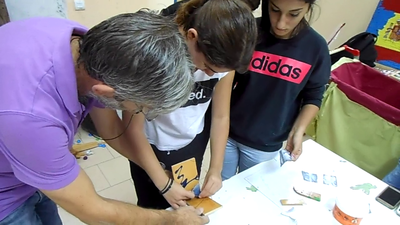 Teaching about both the subject and the language involved, we made an attempt to overcome the restrains of traditional education and to give all people involved, both teachers and students, the opportunity to interact. 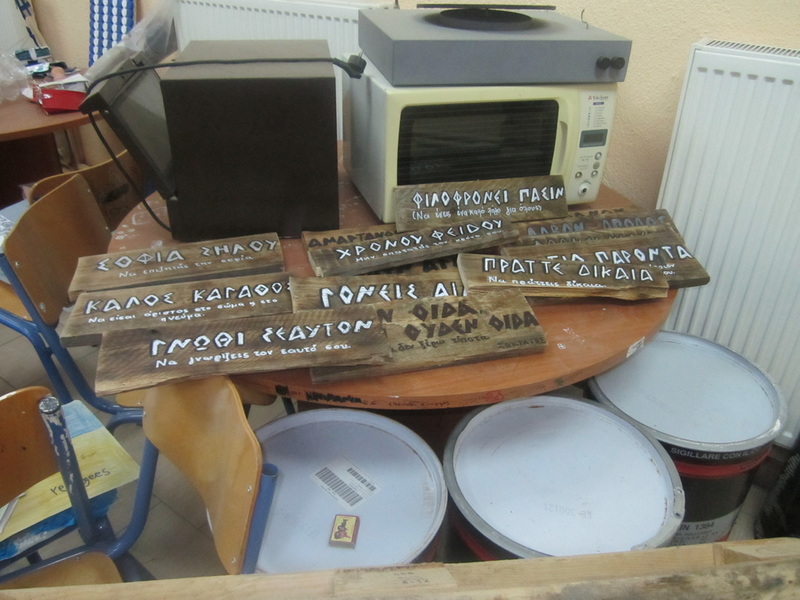 Our main objectives were multiple. 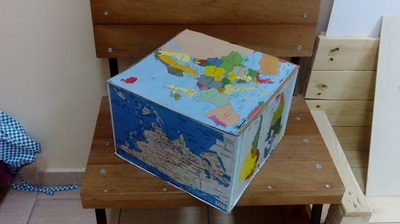 On the one hand, to encourage students to use English as a tool to explore more information about Geography and make them more active in using English. 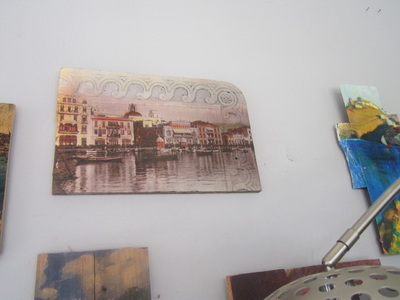 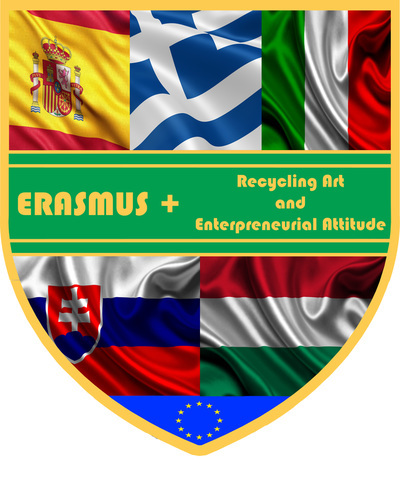 On the other hand, to promote cultural features through Geography as well as to develop environmental awareness through a new perspective, that is recycling art. 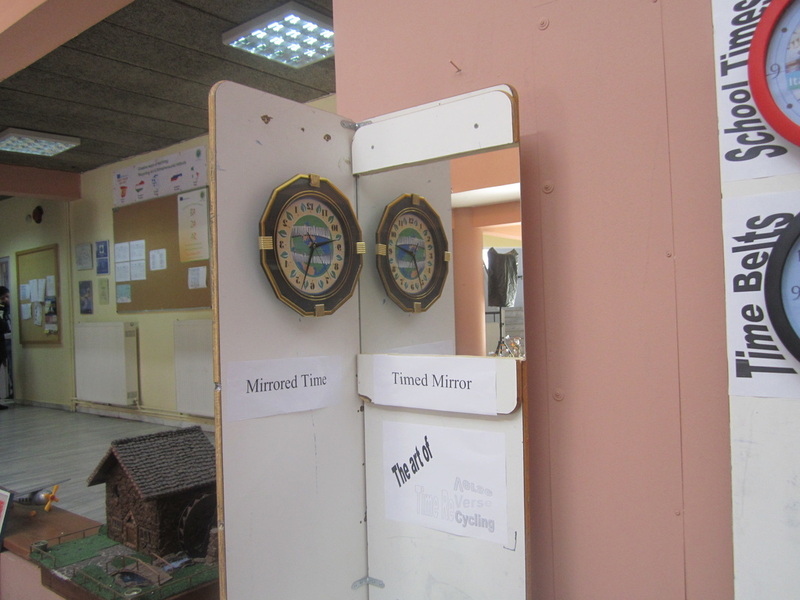 • To operate backward and with mirroring to show normal. There were modified 5 clocks (2 table clocks and 3 wall clocks). 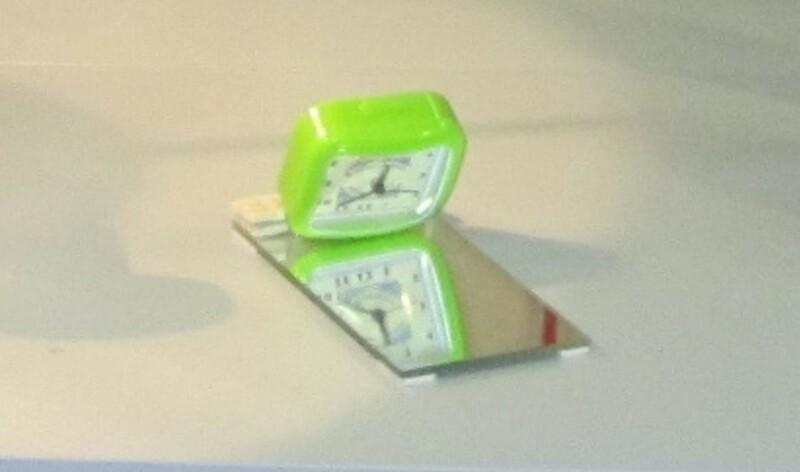 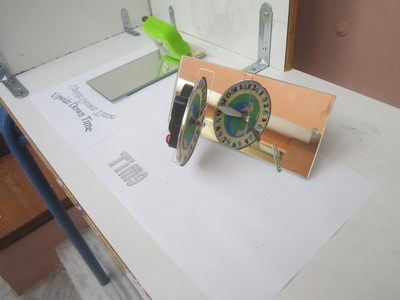 In three of them (1 wall and 2 table clocks) reversed their rotation and positioned in front of a mirror to show normal. 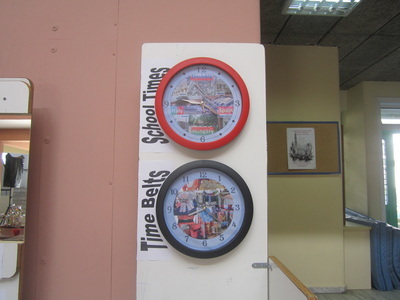 In all clocks replaced the background. 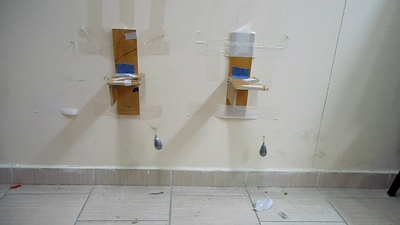 A display constructed from old and broken desks. 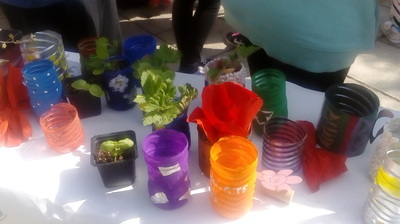 The aim of the project was for pupils to learn how to recycle and how to make rubbish useful. By doing this they could protect the environment and they could use their skills (imagination, creativity, inspiration, etc.) 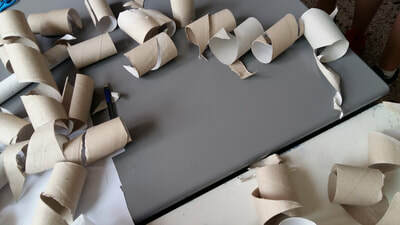 and their litter or useless materials to make useful objects. 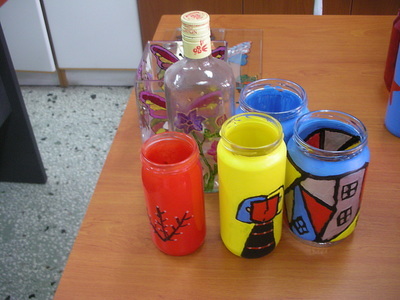 Also they would develop attitudes that they will follow throughout their lives. 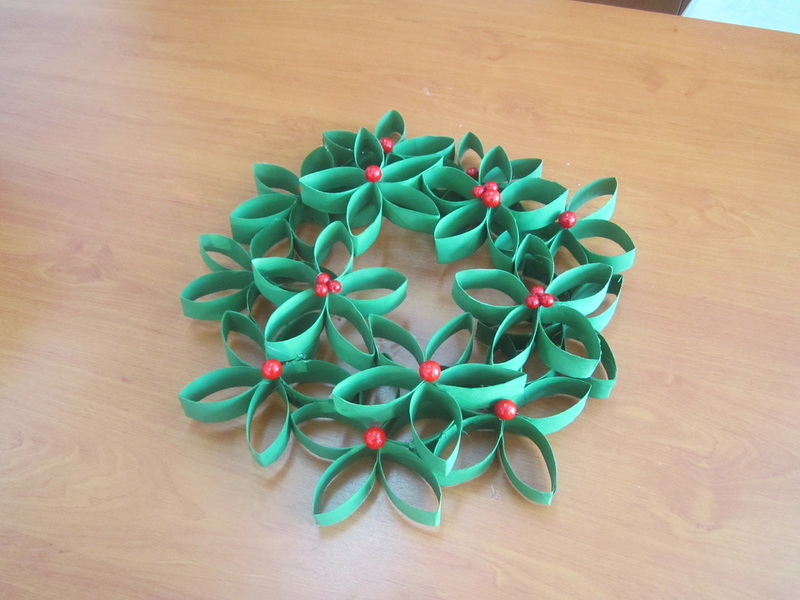 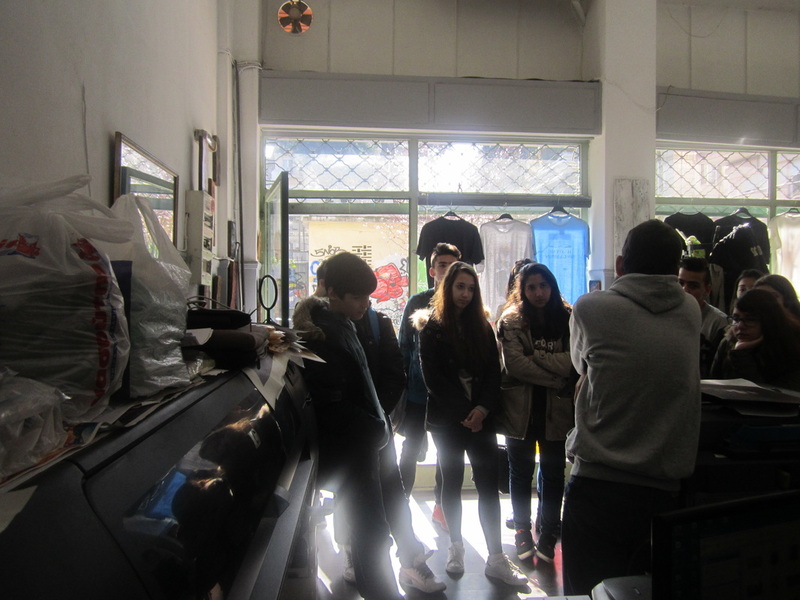 The pupils learnt recycling and upcycling in a pleasant way. 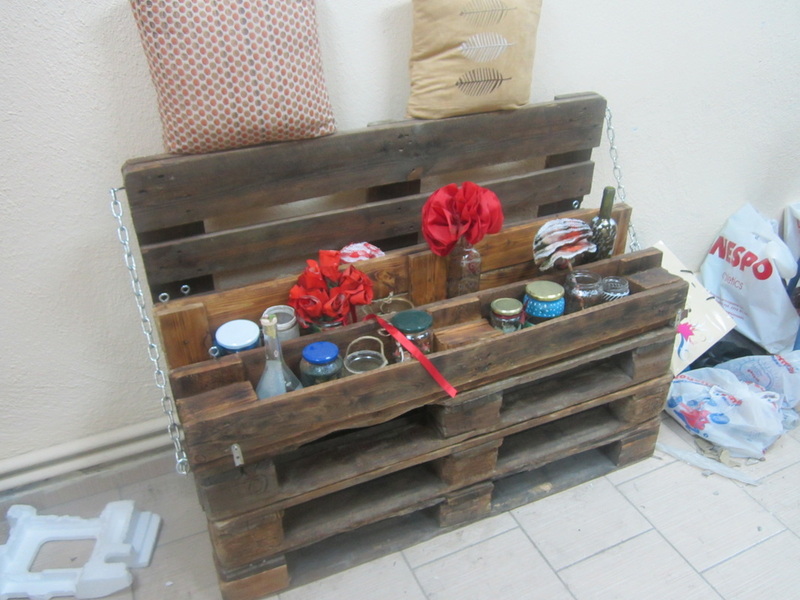 They created things from recyclable and natural materials. 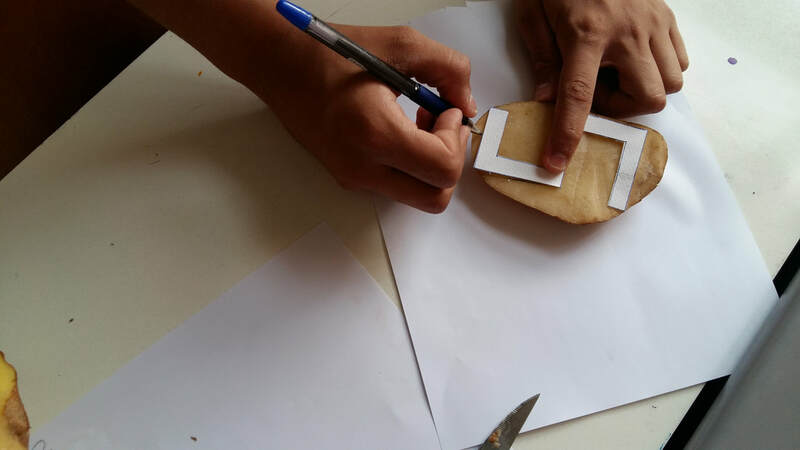 They cooperated and they inspired others to do so. 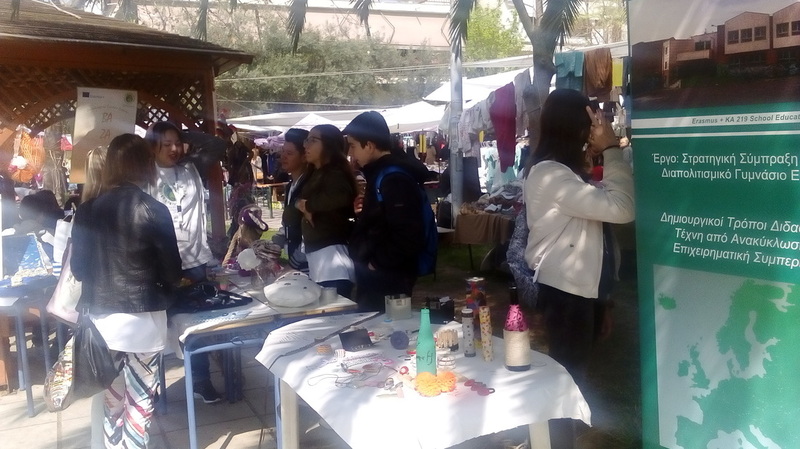 They also gained money from the whole process (Christmas Bazaar) and they used these money to help people in need. 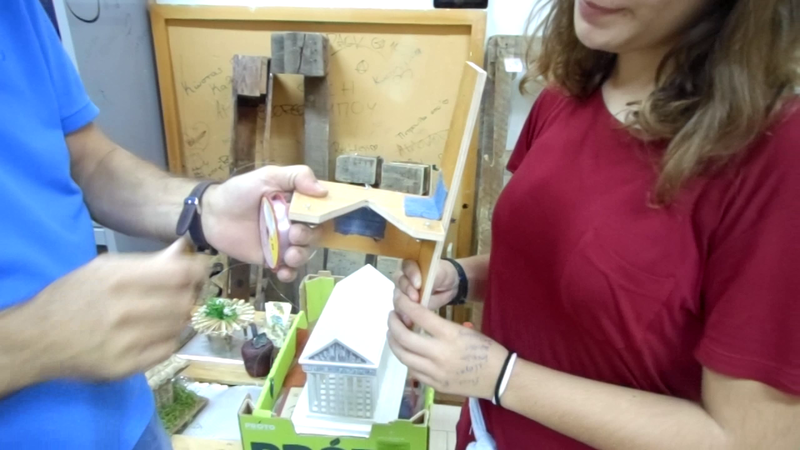 After recognising both the functional and the aesthetic problems of our school yard, we created an architectural landscape plan and a programme plan with every intervention needed. 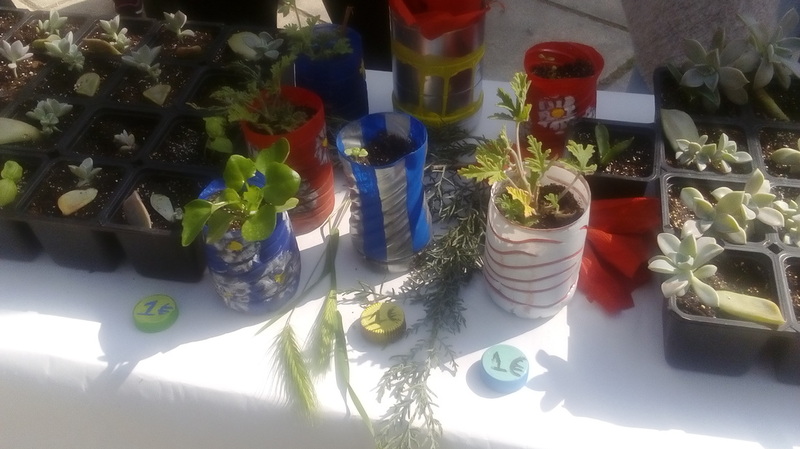 We created new space for trees and flowers and recreated already existing spaces. 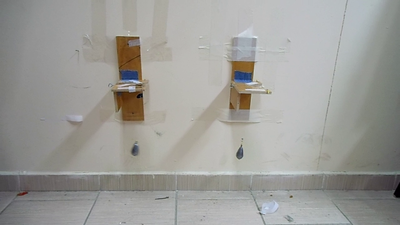 The architectural plan also included the building of new taps for the students. Seedbeds were made and the plants produced were planted in our yard and/or sold in the local bazaar. 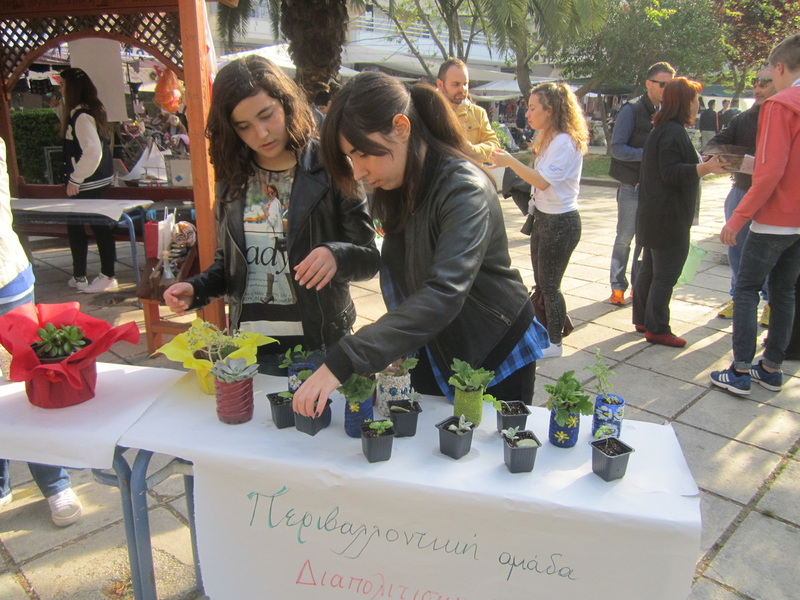 We also visited a local botanical garden in Stavroupoli (a neighbouring region)and got in touch with the fauna of our city, learning more about the environment from specialists (botanists and biologists). 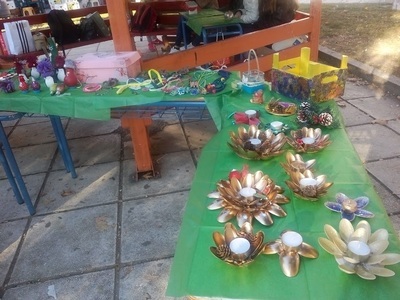 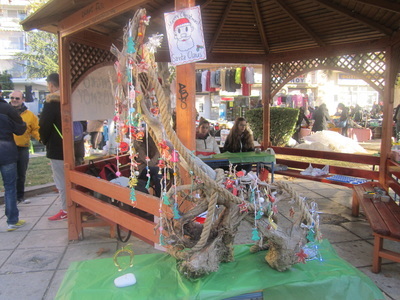 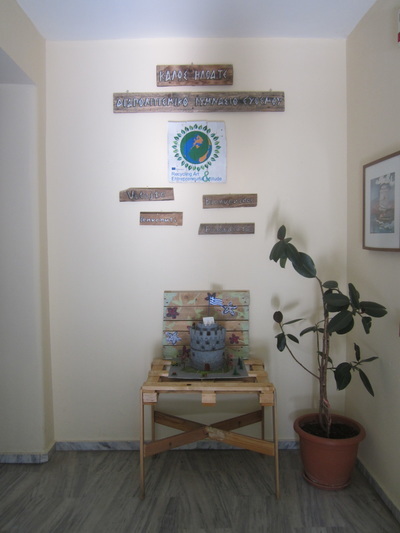 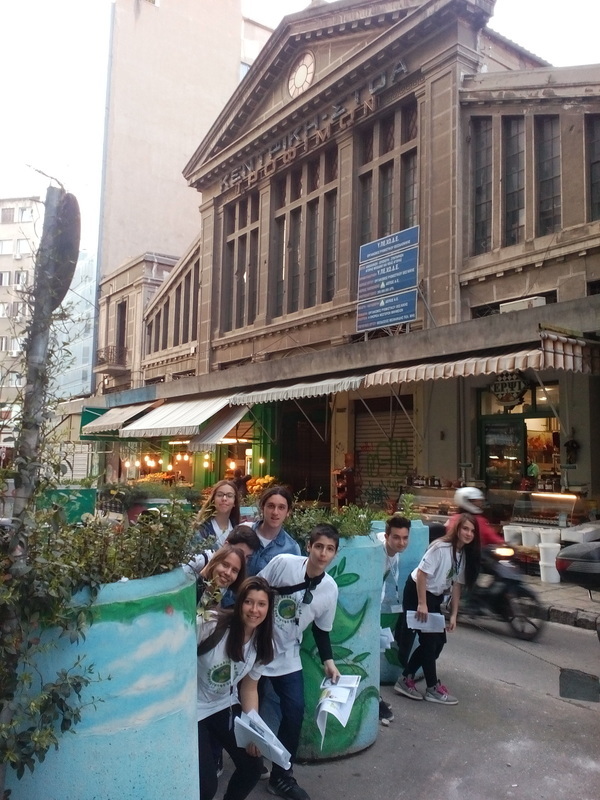 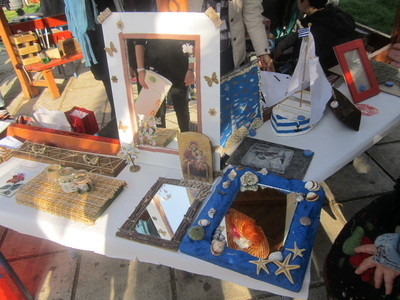 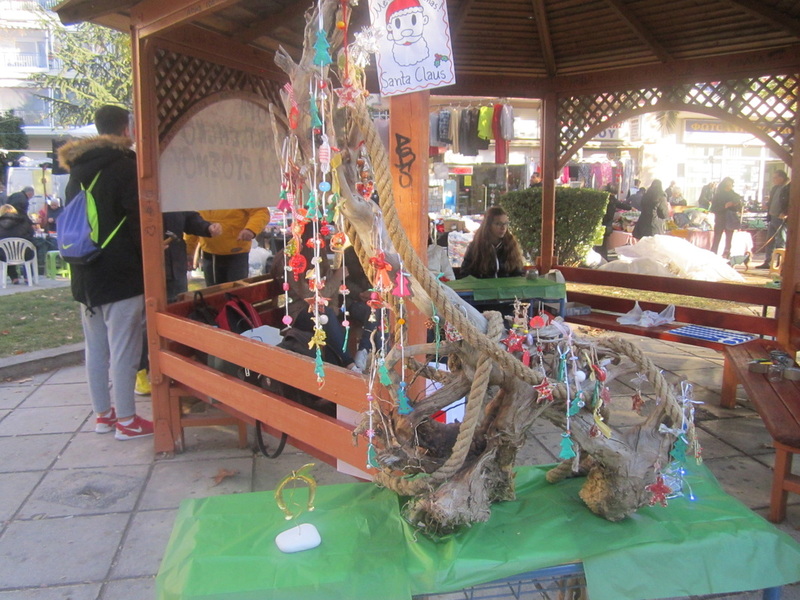 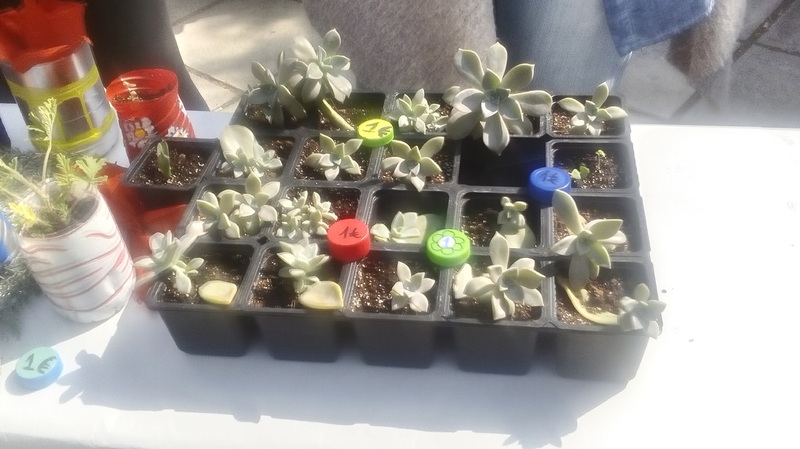 Finally, we participated with student works made from recycled materials and living plants in the Recycling Festival of the Municipality of Thessaloniki. 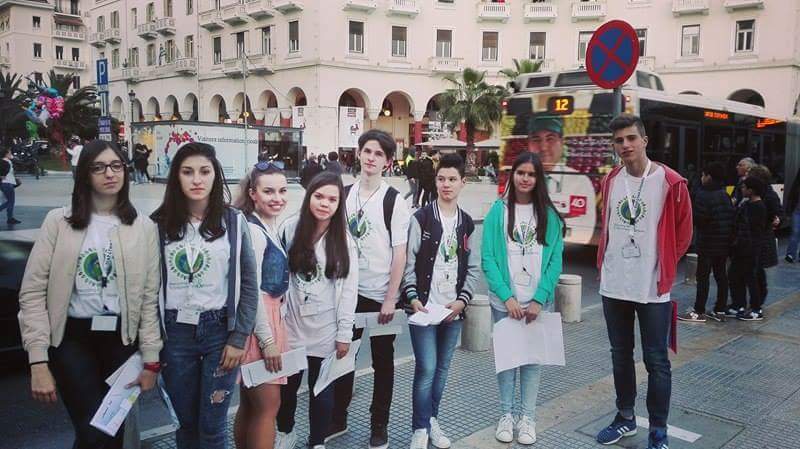 Through the courses of technology and biology the students have been informed about the environmental issues of our times. 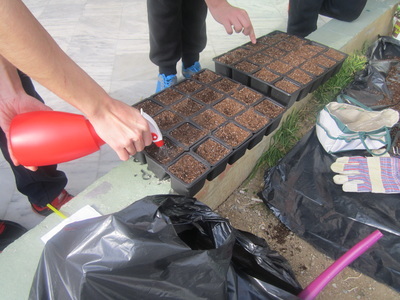 They have been taught how to plant and care for trees and flowers. 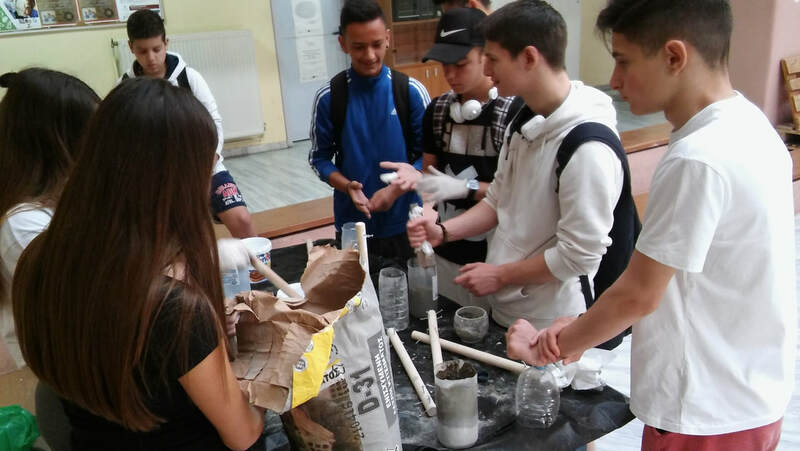 Through research conducted by the students the modern environmental problems were pinpointed and critical and helpful suggestions were made concerning practical interactions. 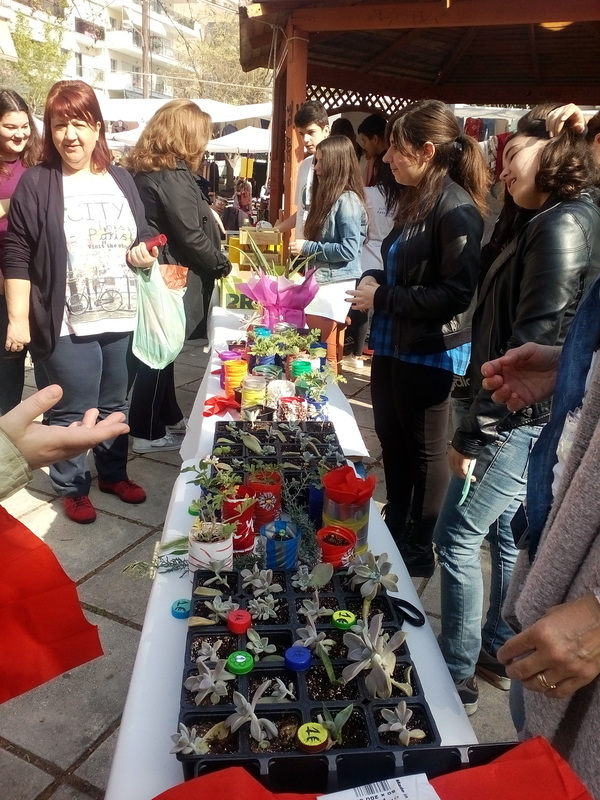 The cooperation of local authorities was asked, so as to realise the benefits of a multidimensional and multicultural approach of environmental issues. 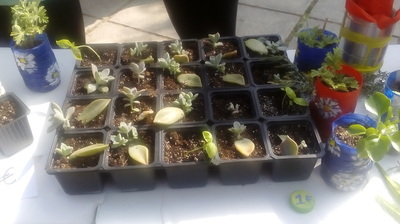 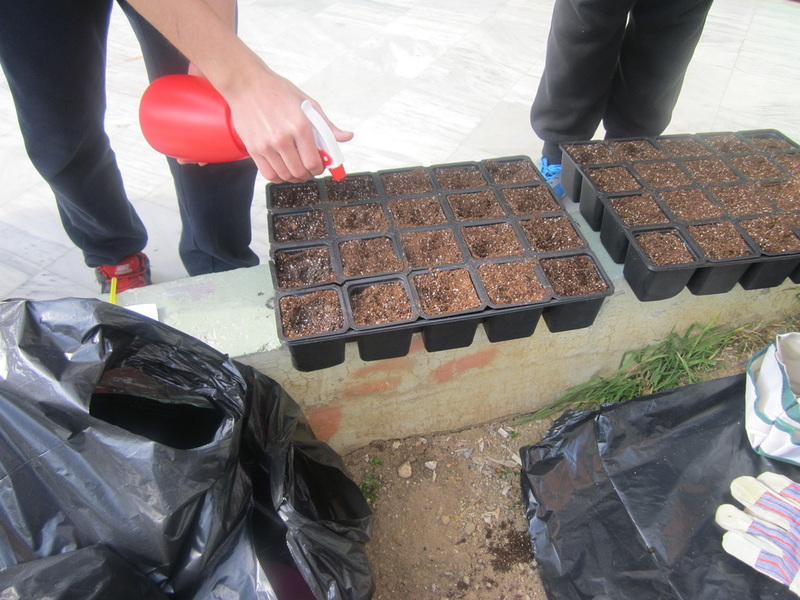 The participating students not only learned but also encouraged numerous of their fellow students to care for the environment, plant seeds, recycle materials, and keep a space clean and beautiful. 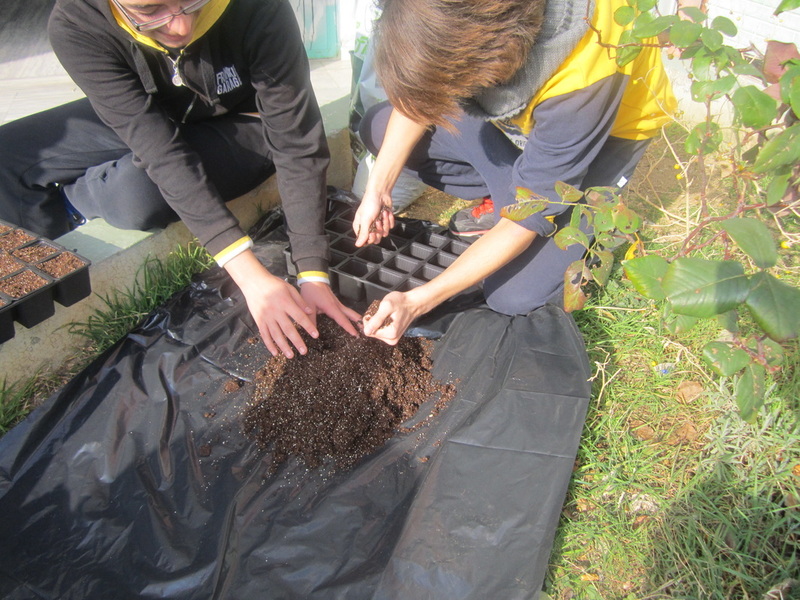 The cooperation and interaction between different students was promoted, as groups of students were formed taking charge of the caring of the school yard (plants, trees and seedbeds) and trying to find new solutions concerning old environmental issues. 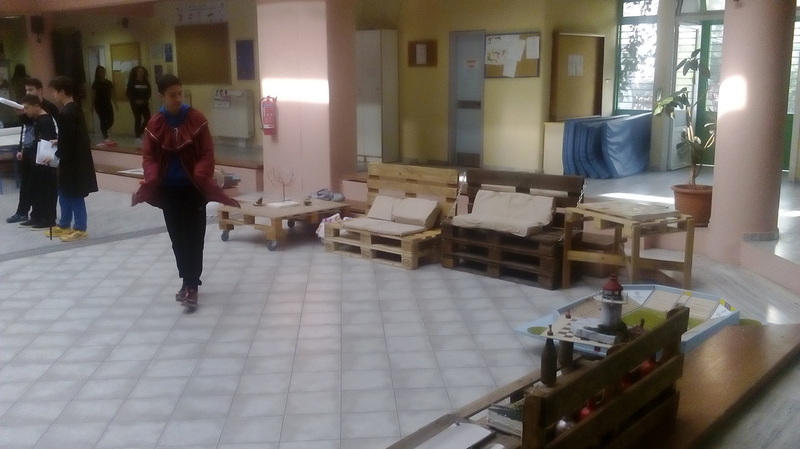 All actions of the students had immediate results, not only in our school yard but also in the lives of the participants and their families. 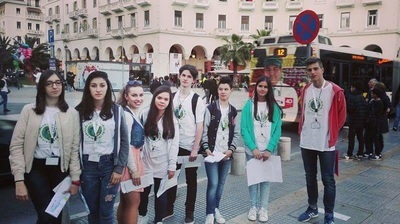 Responsibility and critical thinking concerning the protection of the environment, both as a person and as a group, was one of the main outcomes of the programme. 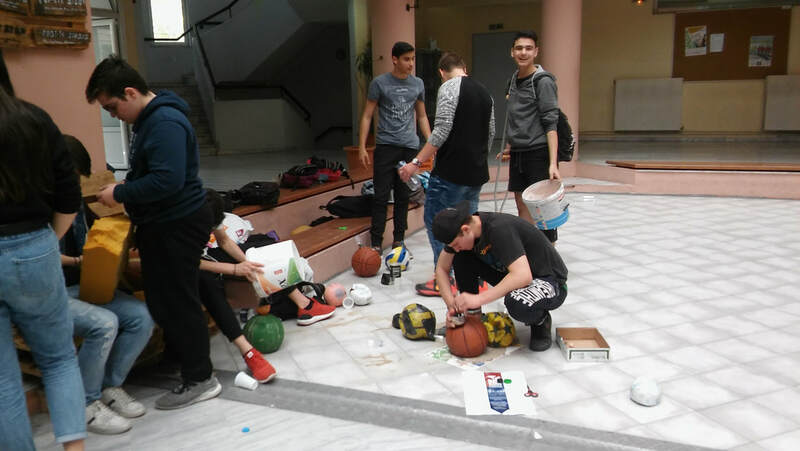 The aim was to engage pupils to be creative and express their ideas about how to make low cost sport equipment, being at the same time environmental friendly. Equipment, which could be easily be made but also handled from pupils. 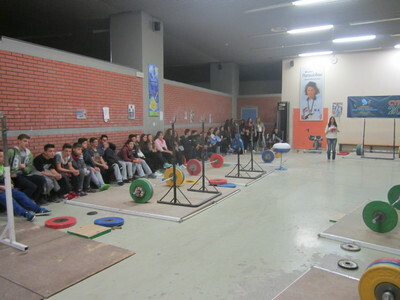 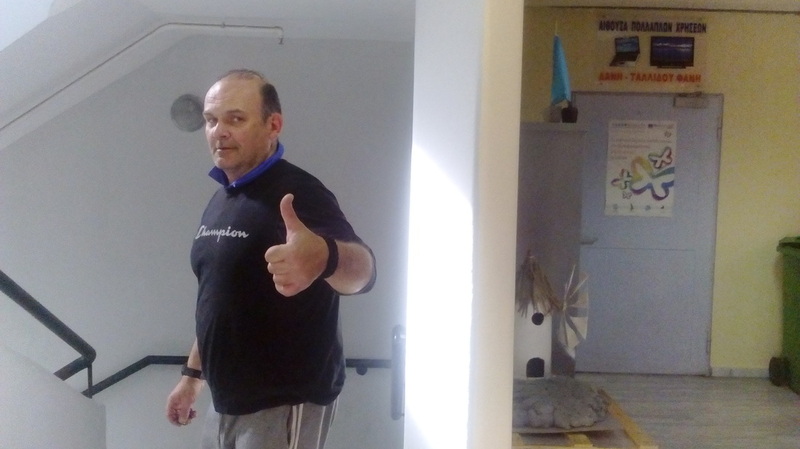 We visited two different kinds of gyms, which offer alternative ways of training. 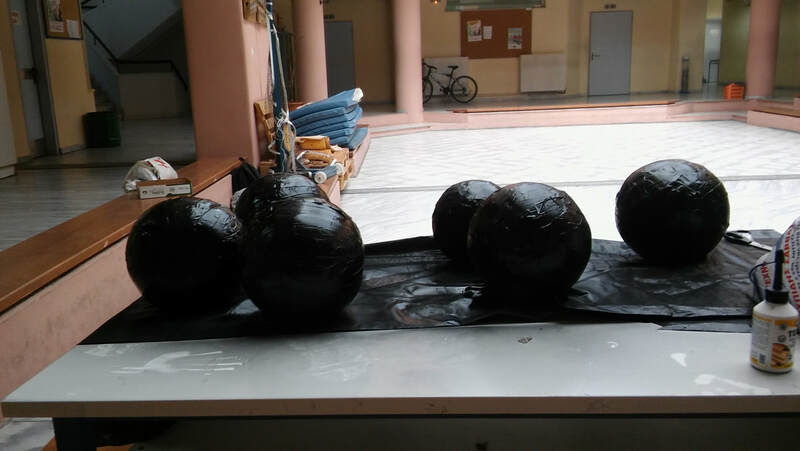 One group made some medicine balls by filling deflated balls with sand from our beaches. 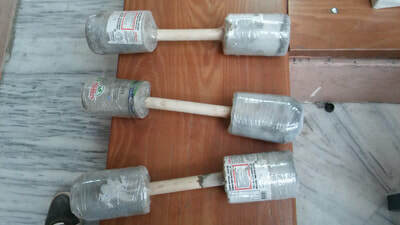 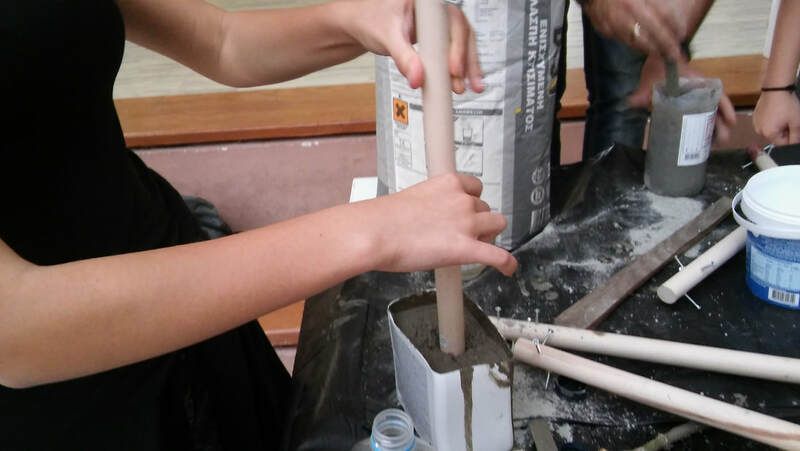 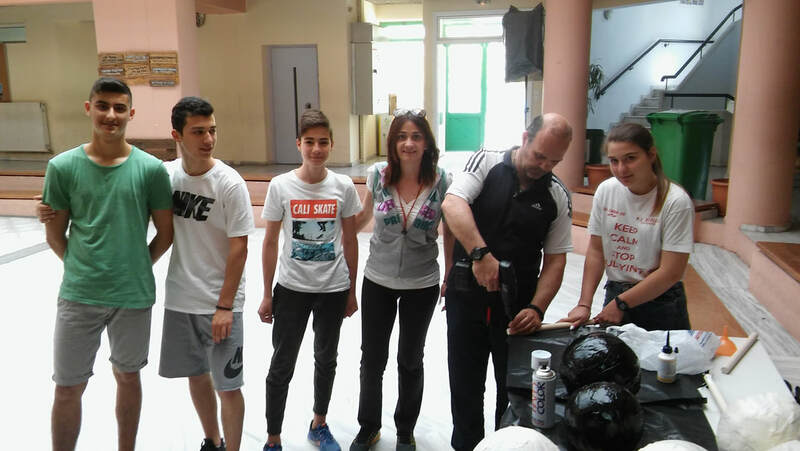 The other group ended up making handmade dumbbells by filling different kind of plastic bottles with cement and using broomsticks as a handle. 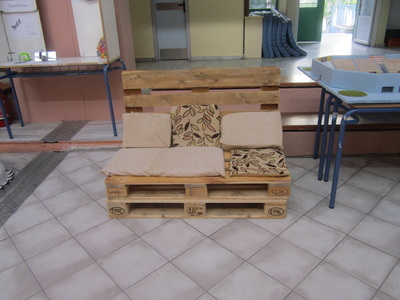 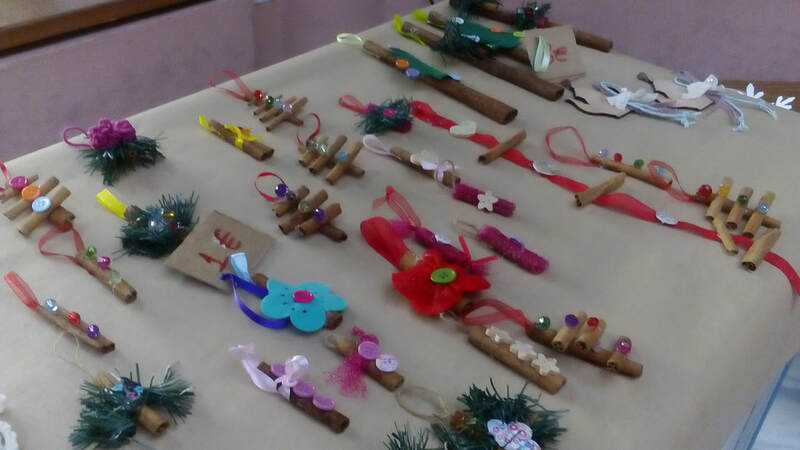 Pupils had the chance to be creative and to find use in older sport equipment by recycling them. The pupils learned to communicate and collaborate with each other, to take rolls and to be responsible. 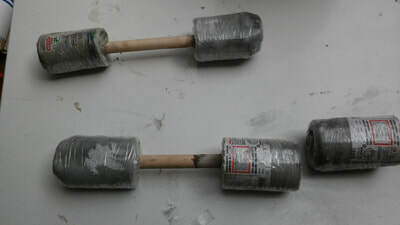 Some low cost workout equipment which can easily be used by anyone. 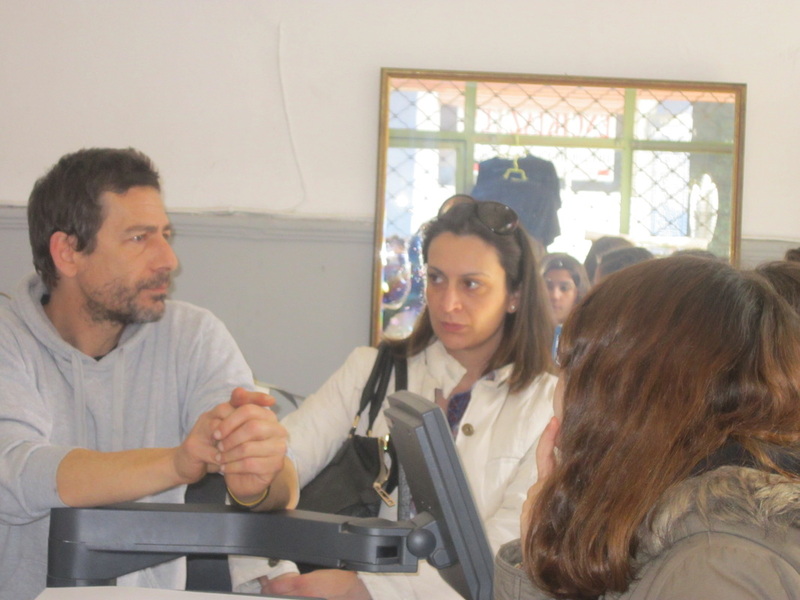 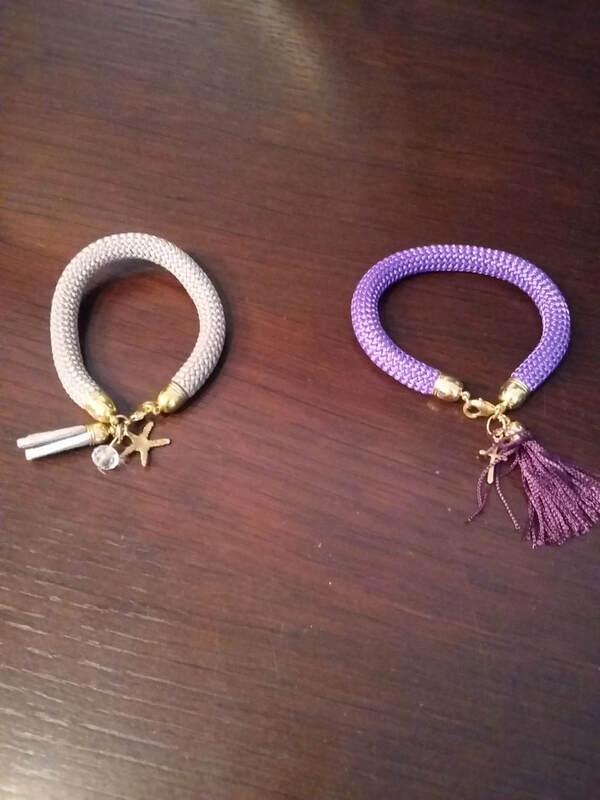 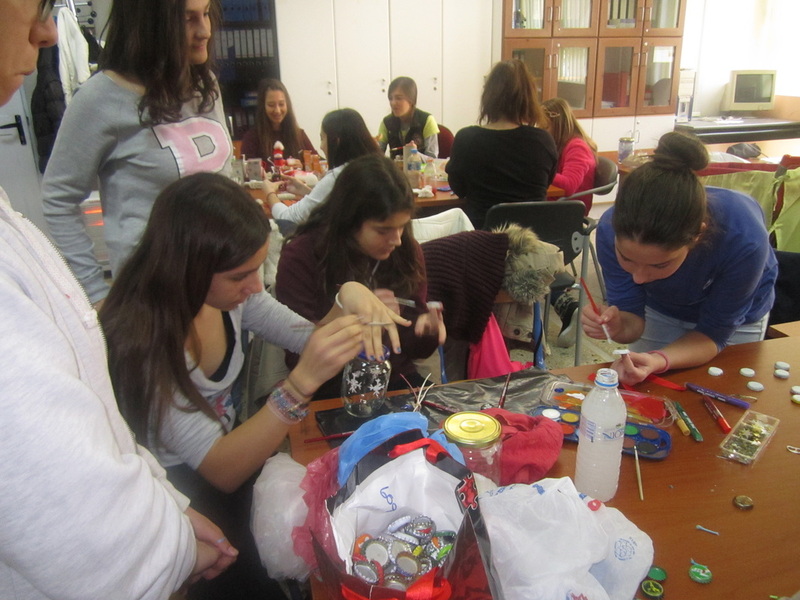 The basic aim of the program with the title: Recycle and create with fabrics is to make pupils aware of the benefits come from recycling and make us a way of life. 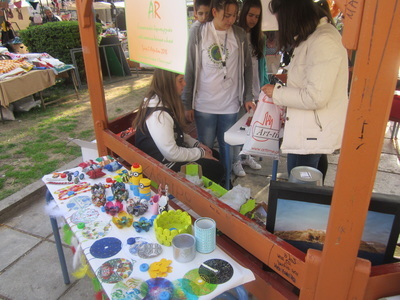 Through this program, we will try to highlight the environmental, economic and social benefits of systematic recycling and to adopt a new lifestyle through a sustainable environment. 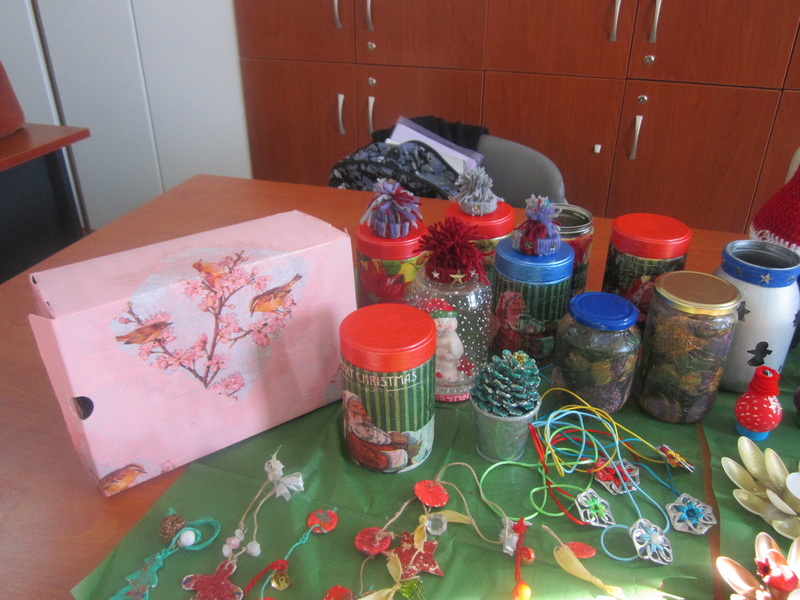 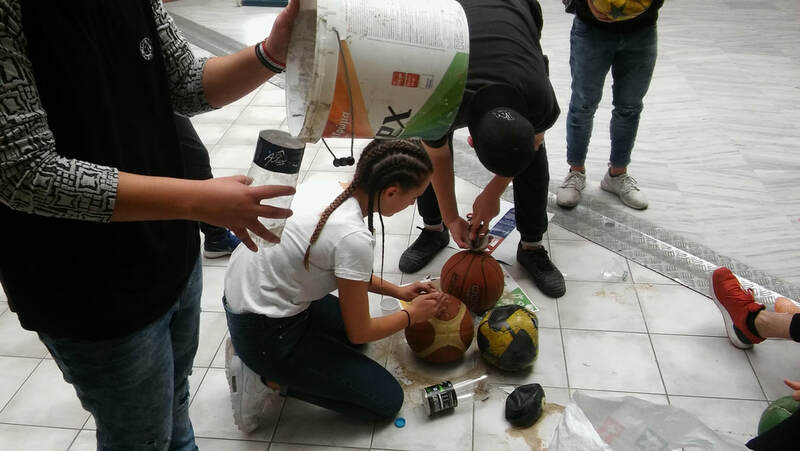 At the same time, we will try to bring our students into contact with trash-art or eco-art to show them that no material should be underestimated and that recyclable materials sometimes result in "diamonds". 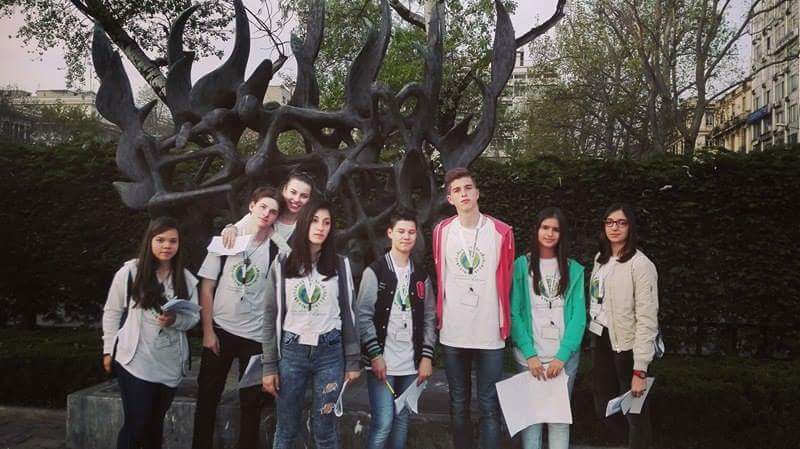 To learn to respect the environment through waste management. • Recycle their lives not only in school but also at home. 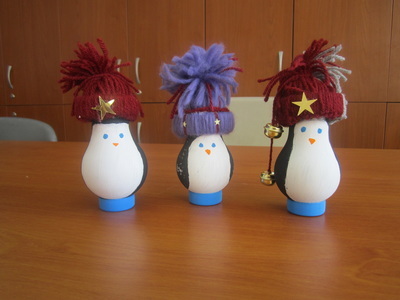 Develop their aesthetic cultivation through creation with recyclable materials. 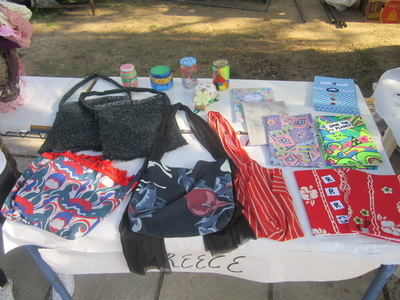 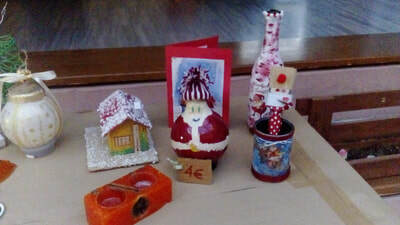 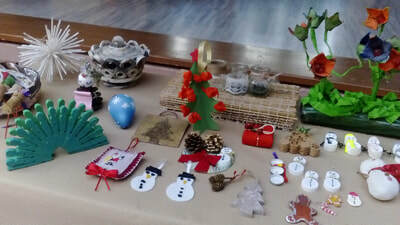 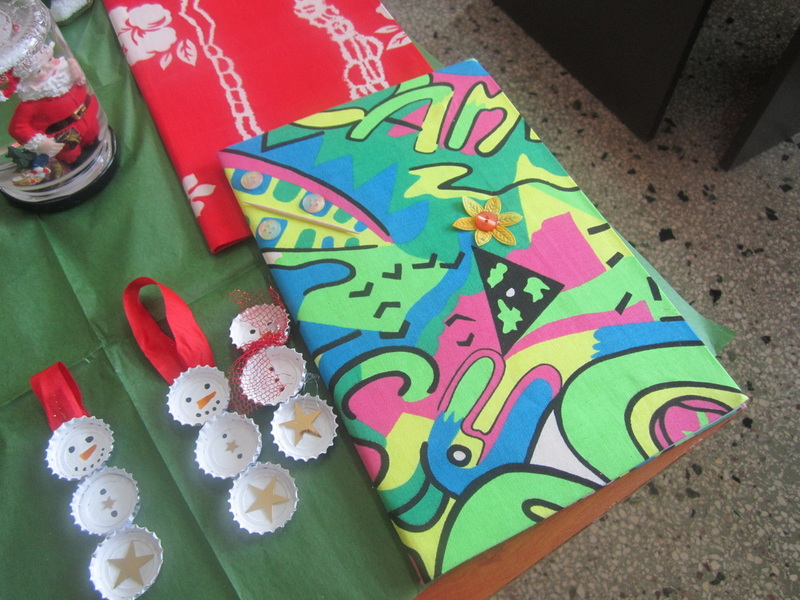 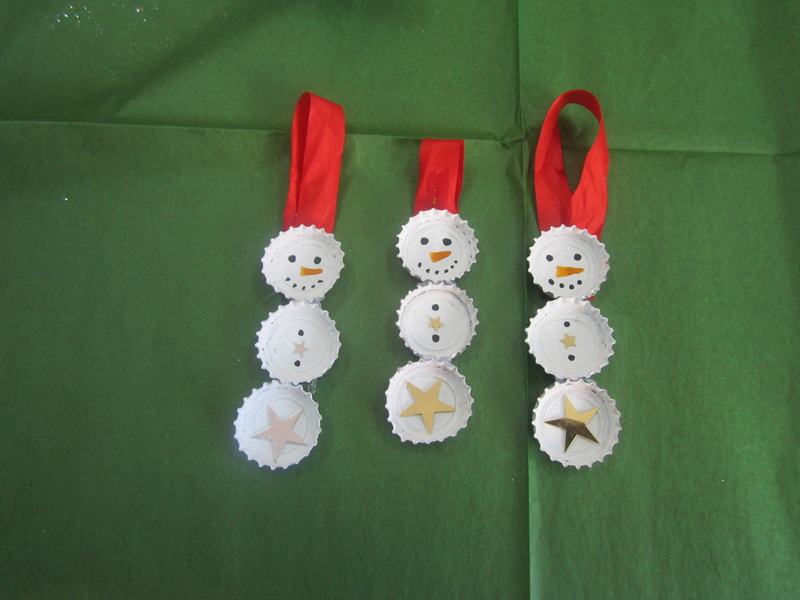 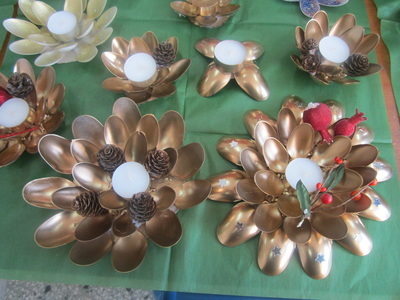 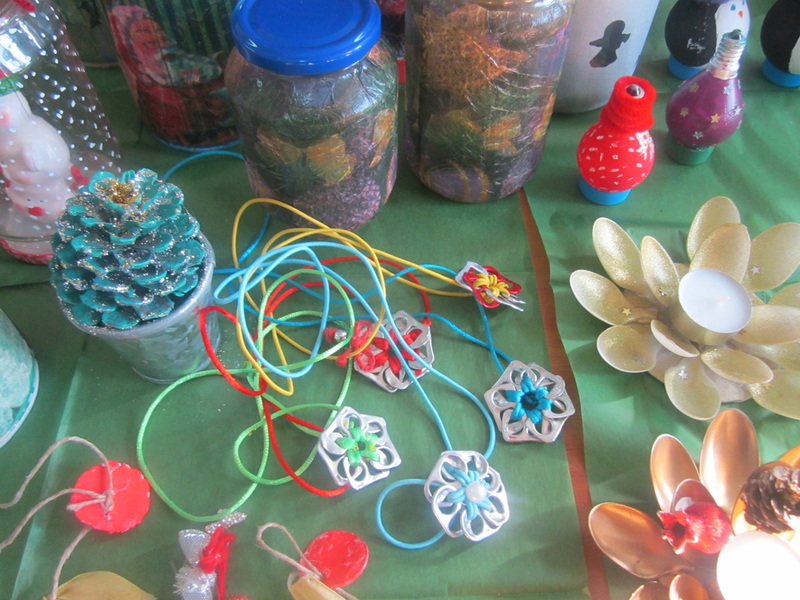 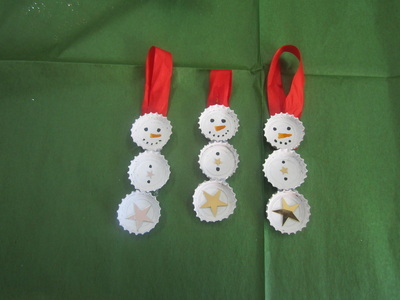 Christmas Bazaar-reporting and selling items to be produced during the Erasmus + pupils' visit to raise money for charity. Creation of a virtual extraterrestrial environment (eg moon like or Jupiter like. Our aim was to connect the reuse of paper and plastic objects with the history of mask. 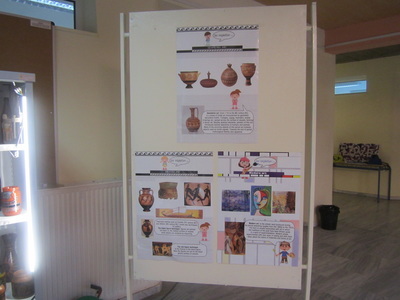 On one hand we intended to study the various uses and roles of the mask in relation to different cultures, events and rituals. 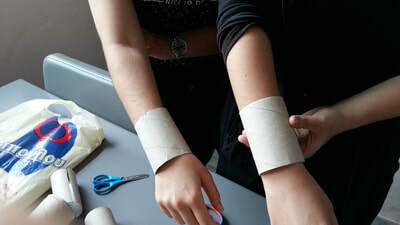 On the other hand we intended to experiment with different materials and techniques creating replicas of various masks. 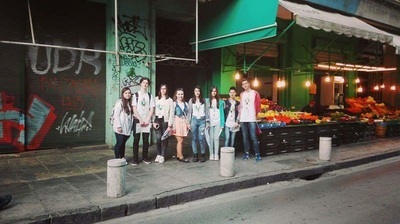 We gathered paper bags for grocery (vegetables, meat, fish or even pop corn bags) and empty plastic bottles (especially those that contain laundry liquid). We also collected other materials such as paper towels, cloth, threads, stones, plasteline. 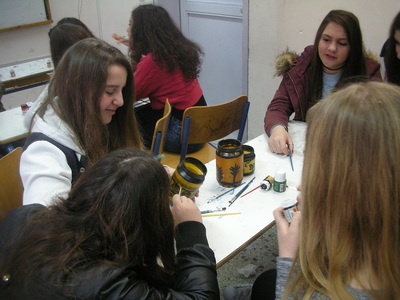 We split into groups and we set up our artistic workshop. 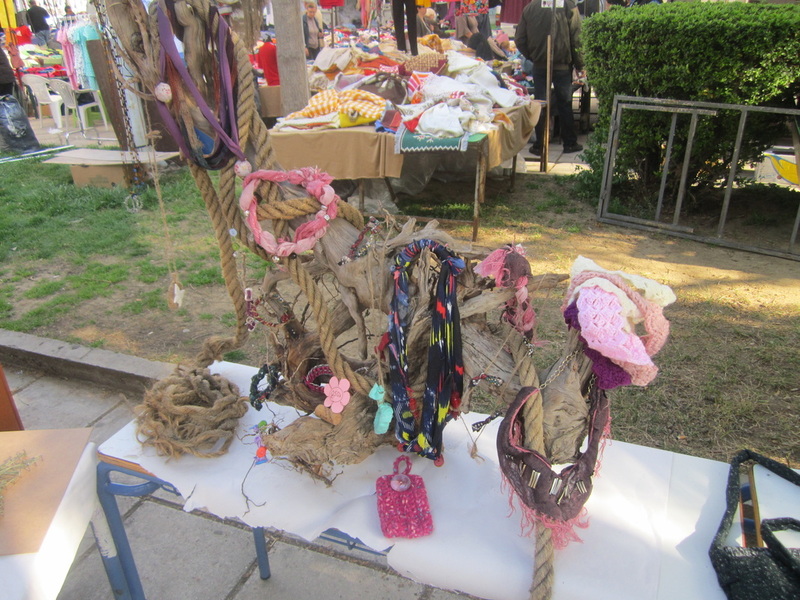 - Funeral masks associated with the perceptions about life after death. 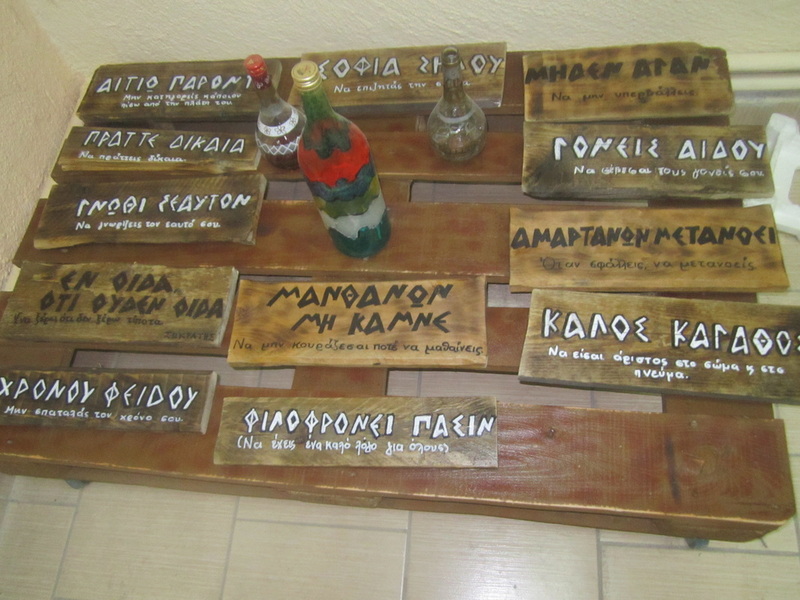 - Apotropaic masks that protect those who have or wear them (men or even a town) or cause respect and fear. 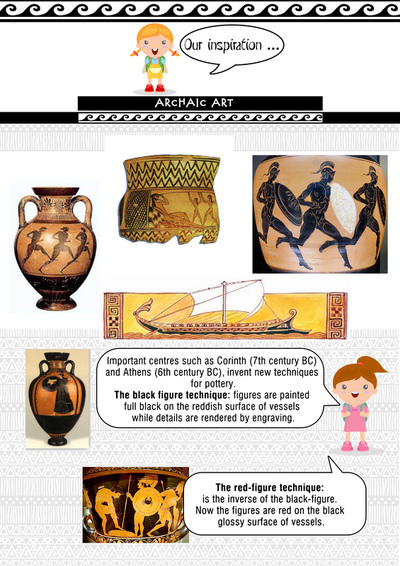 - Theatrical masks especially those for ancient greek comedies associated with the worship of Dionysus. - Carnival masks connected with carnival customs or even special rituals. 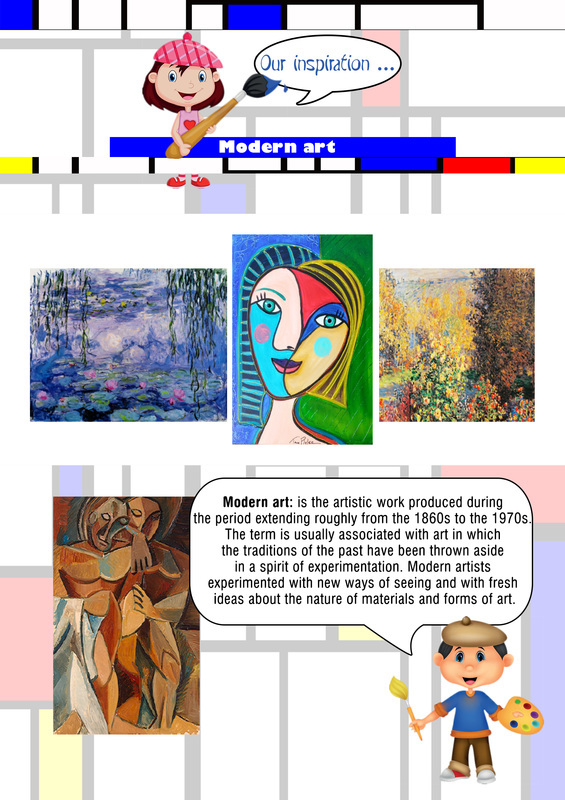 Finally the reference to the cinema and modern art could not be absent from our work. - Cinema masks and well known paintings of modern art gave us ideas for our own creation. 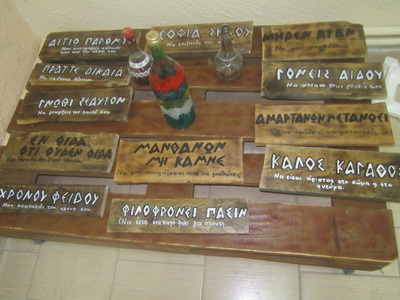 The creation of masks led us to the writing and production of a small play with comic character. 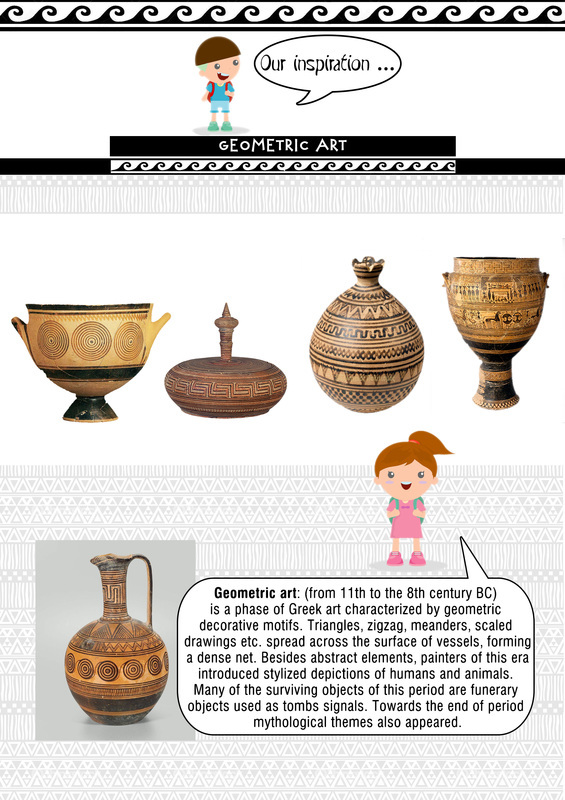 The idea was to present masks of different periods and types. 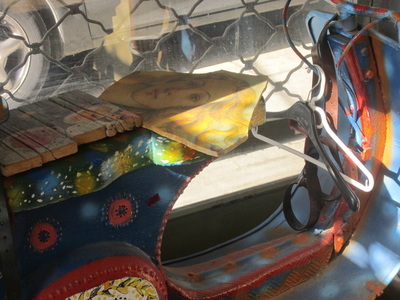 In a comical context of our time these masks coexist, present themselves and talk to each other. 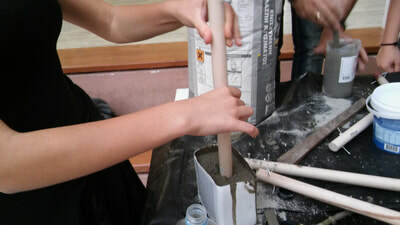 Develop a spirit of cooperation, teamwork, individual initiative through teamwork. Approach art as sustainable waste management tool. 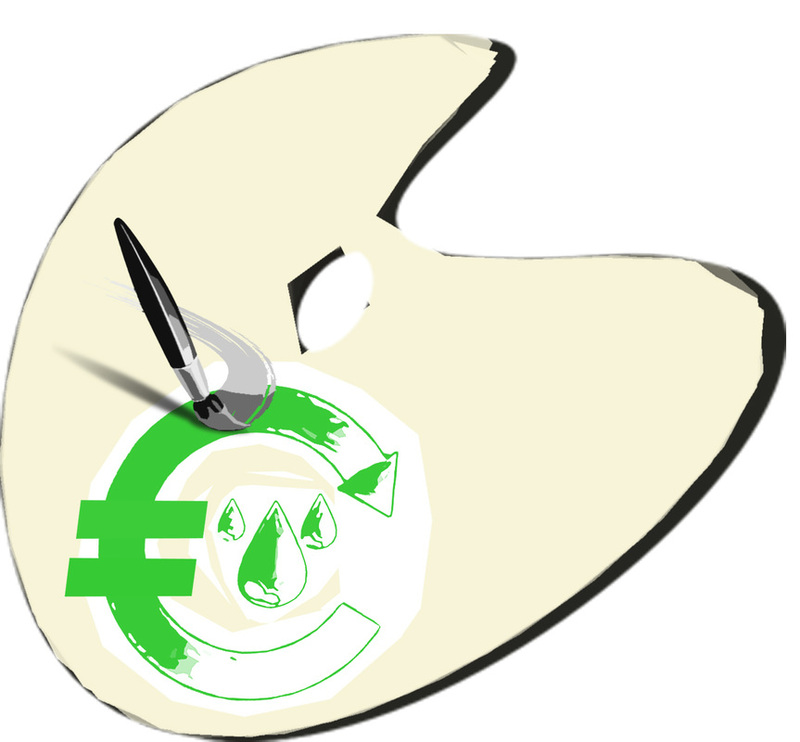 Be aware of the environmental and economic value of recycling. 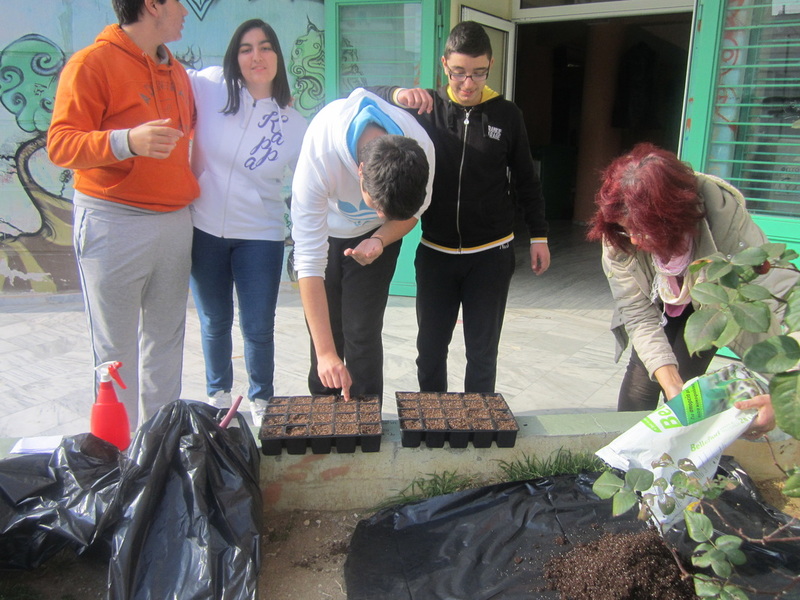 Develop positive attitudes for the prevention and resolution of future environmental problems. 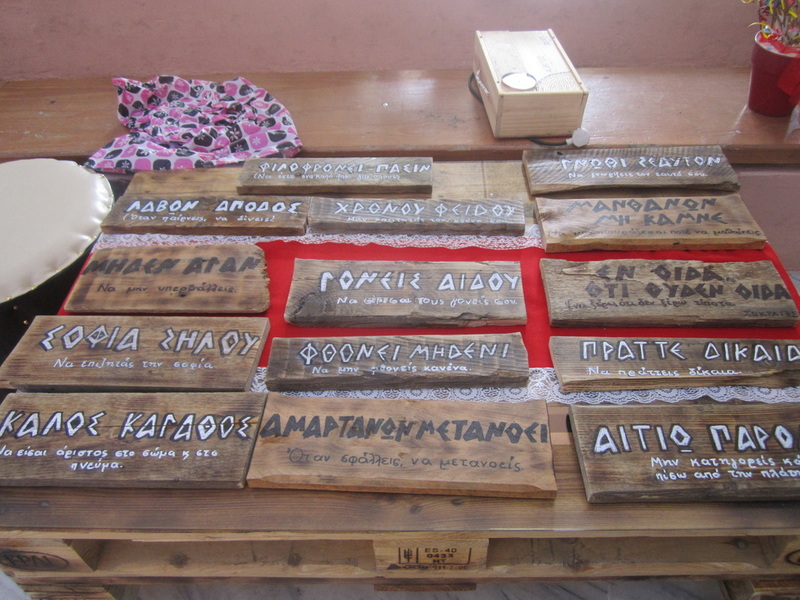 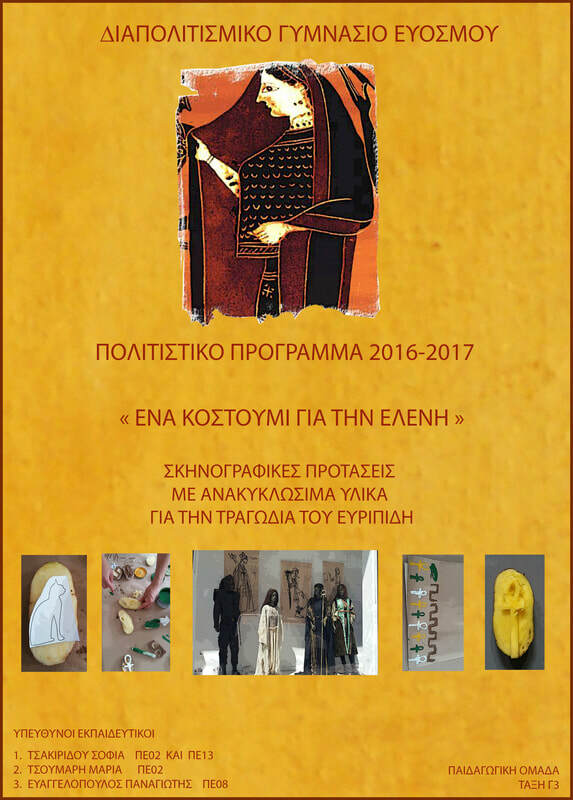 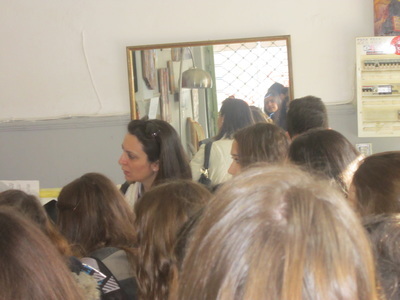 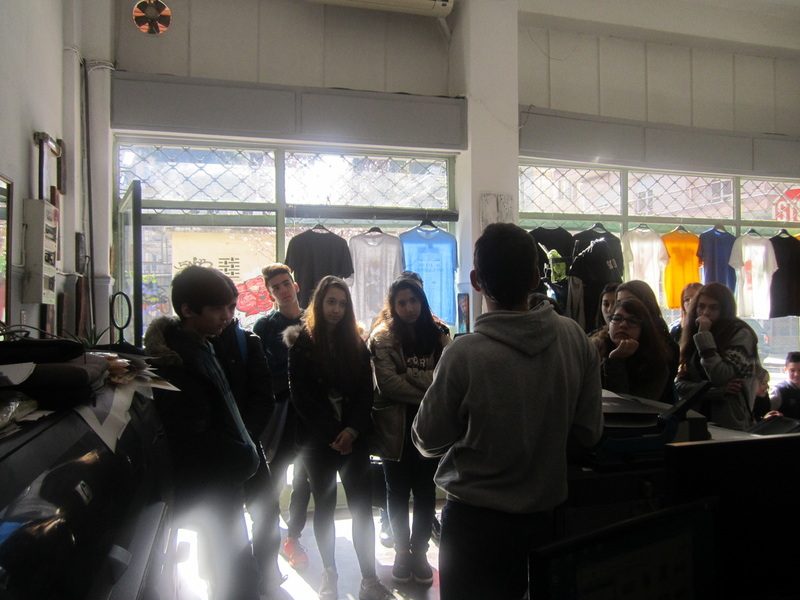 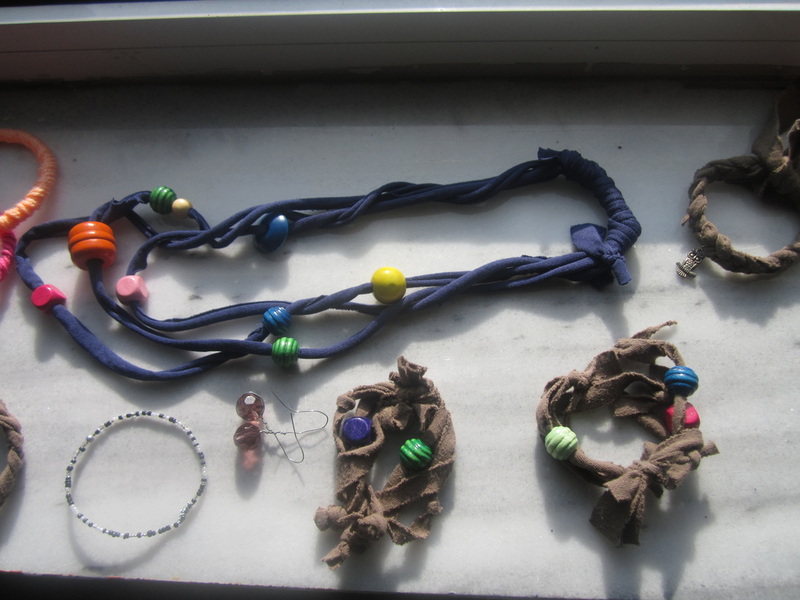 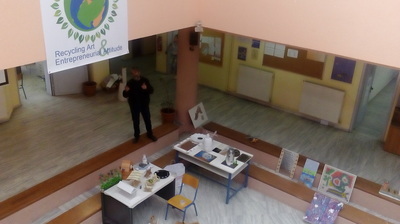 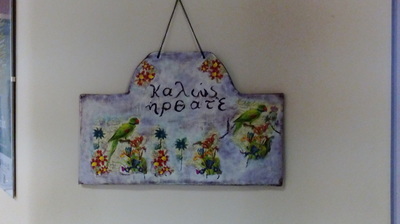 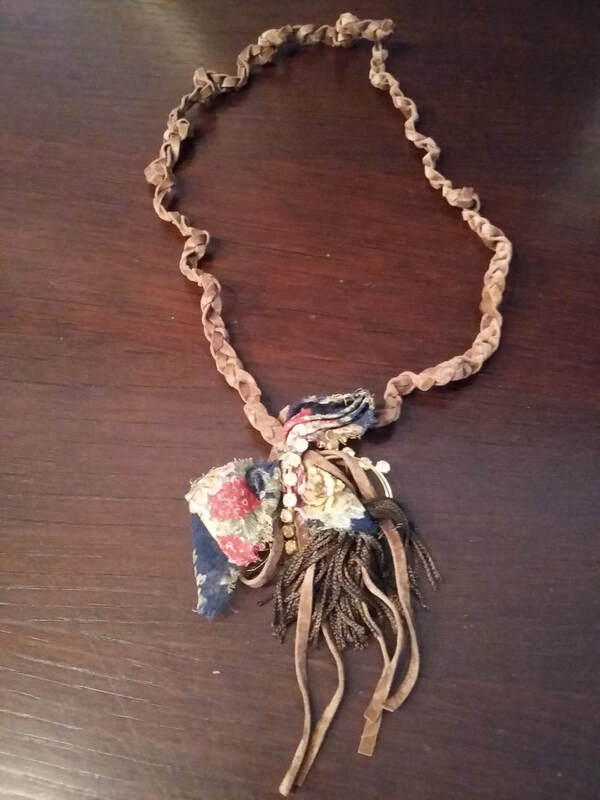 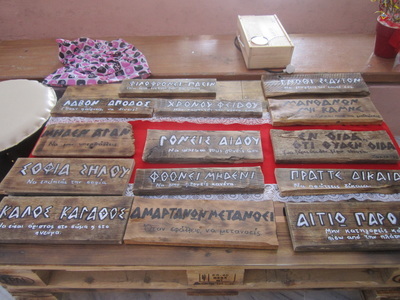 The basic aim of the programme entitled: “ A Costume for Helena, scenography with recycleable materials for the performance of Euripides’ tragedy” is to make pupils approach the ancient drama, invent modern ecofriendly costumes and become aware of the potential use of every useless item. Through this program, we try to involve the pupils in designing and fabricating costumes and scenery. 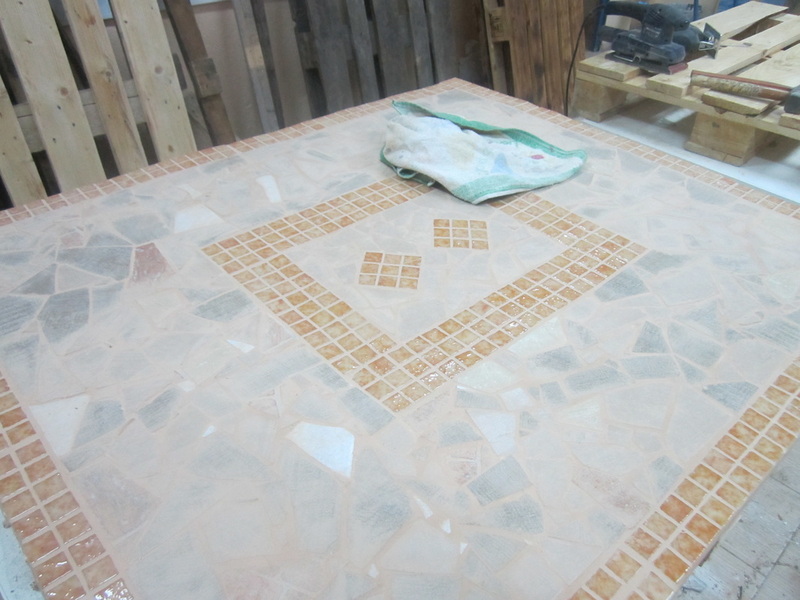 Stage and costume design - no cost - for the performance of an ancient Greek tragedy is a challenge to take. 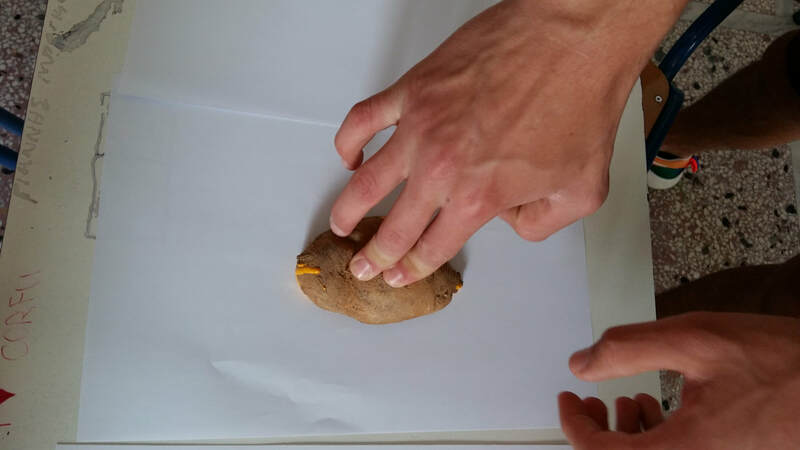 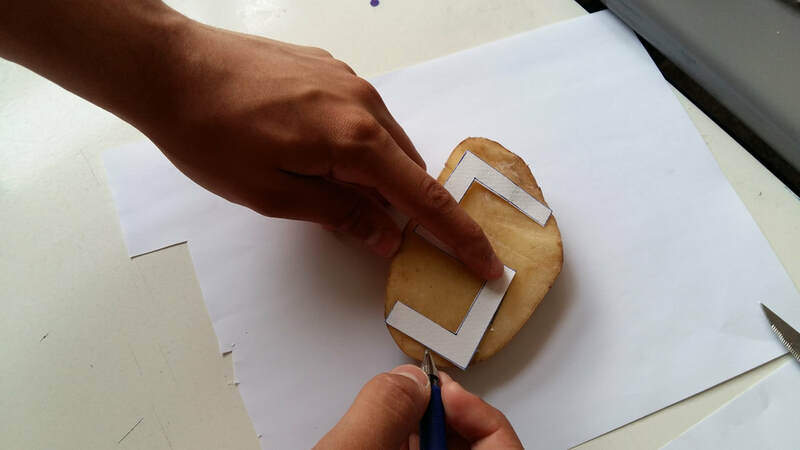 Firstly, they sculpture egyptian and ancient greek symbols on half potato pieces, create handmade stamps and decorate paper sheets with them. 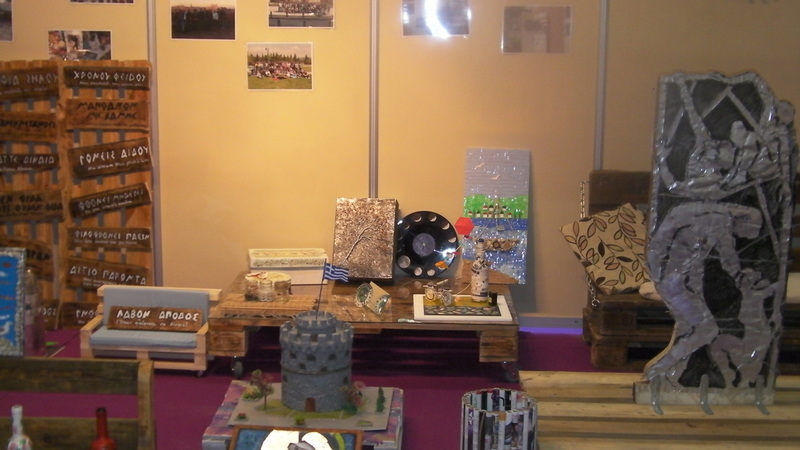 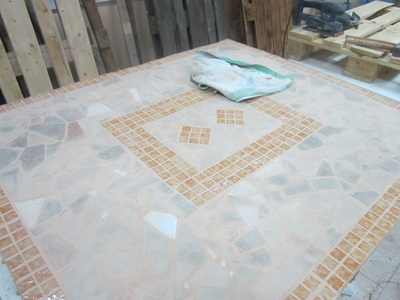 This is the most amusing, creative and productive phase of the project and therefore we have kept many snapshots. Additionally, the pupils have to collect materials, choose colours, design patterns and mark the esthetic criteria of their creations. At the same time, we try to classify information about vase painting, images taken from poems of Greek poets, both referring to the War of Troja and also descriptions of ancient performances and photos of contemporary performances of the ancient theatre. 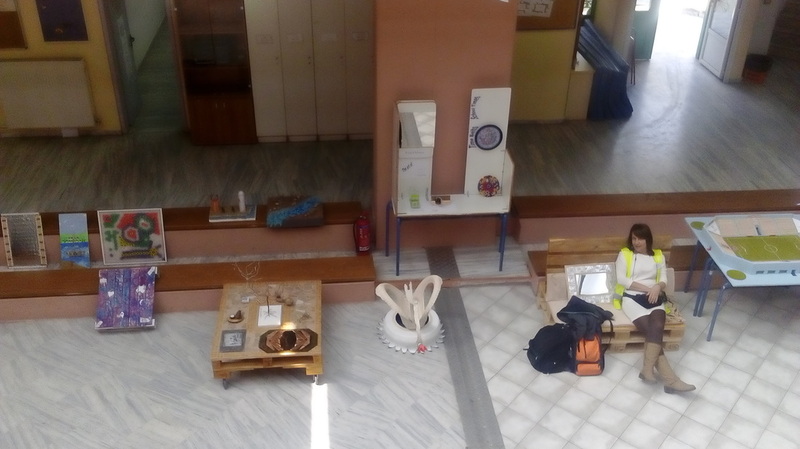 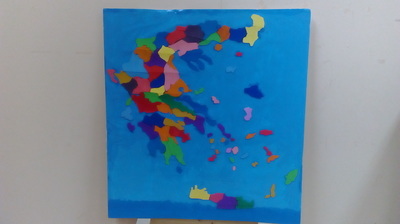 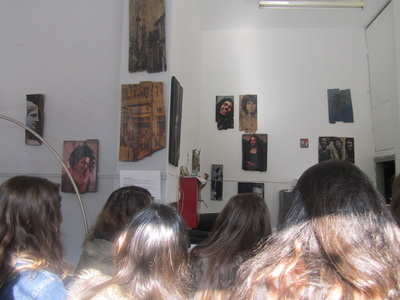 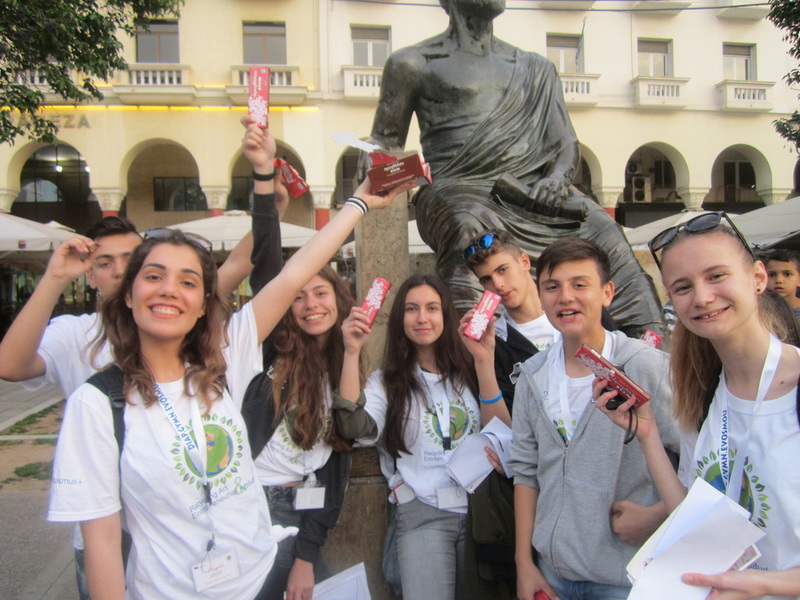 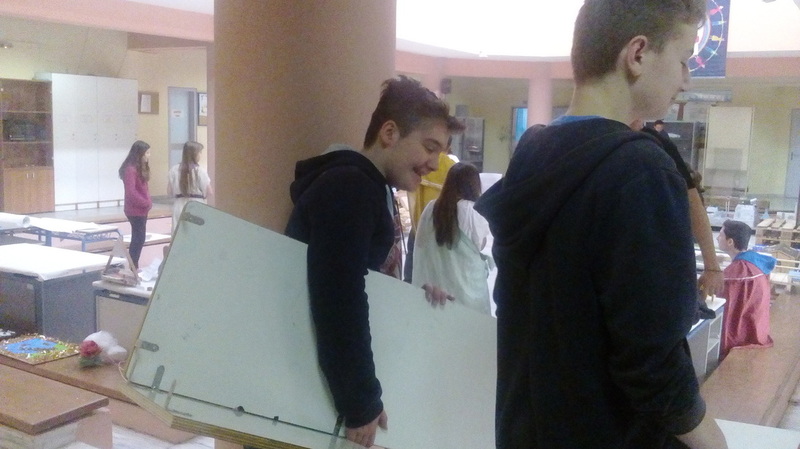 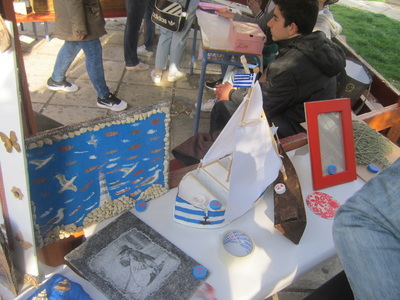 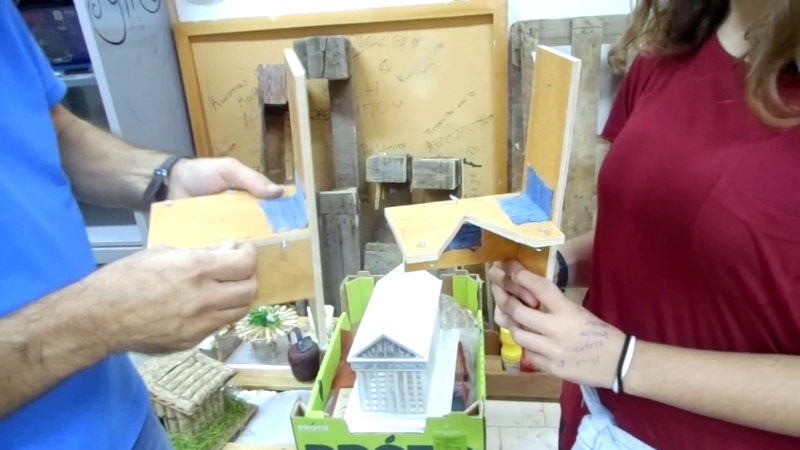 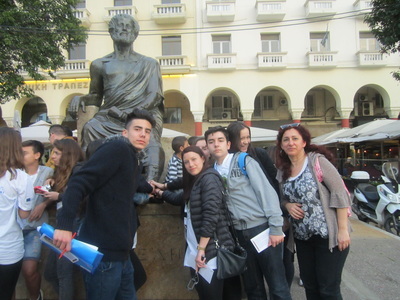 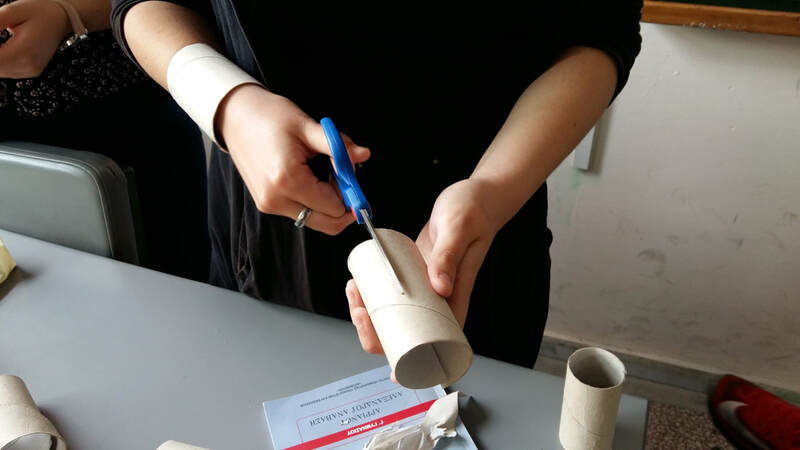 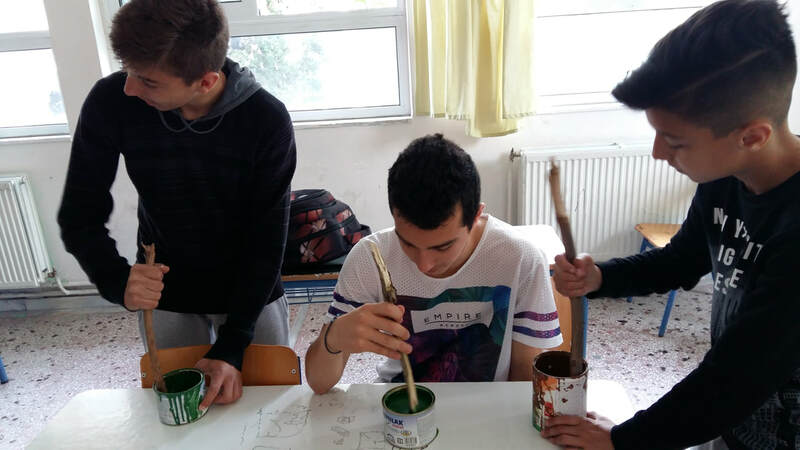 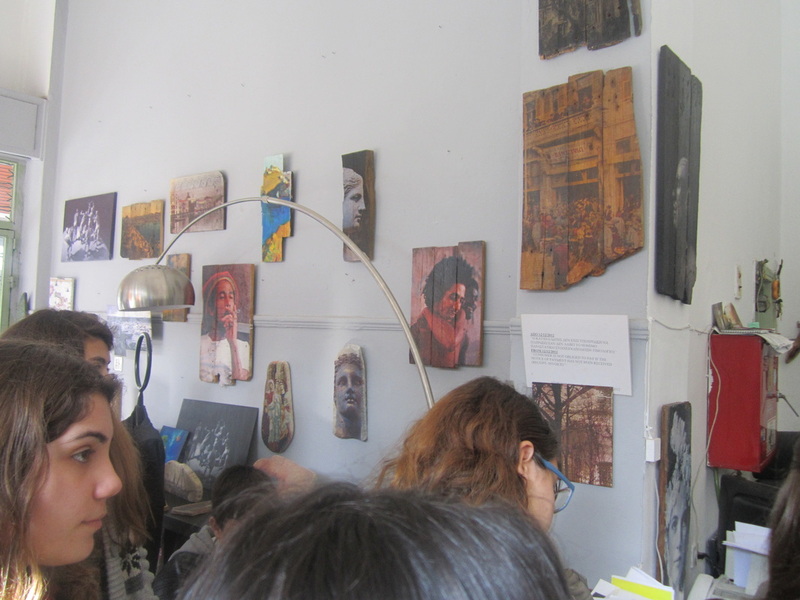 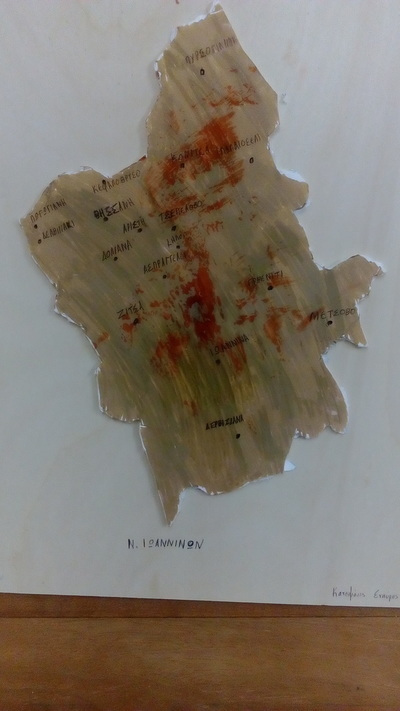 Moreover, our students participate in interactive games focused on the ancient Greek theatre, and in discussions about the connection between art and recycling. - Use their imagination and find inspiration in every possible way in order to utilize useless materials and transform them to works of art.